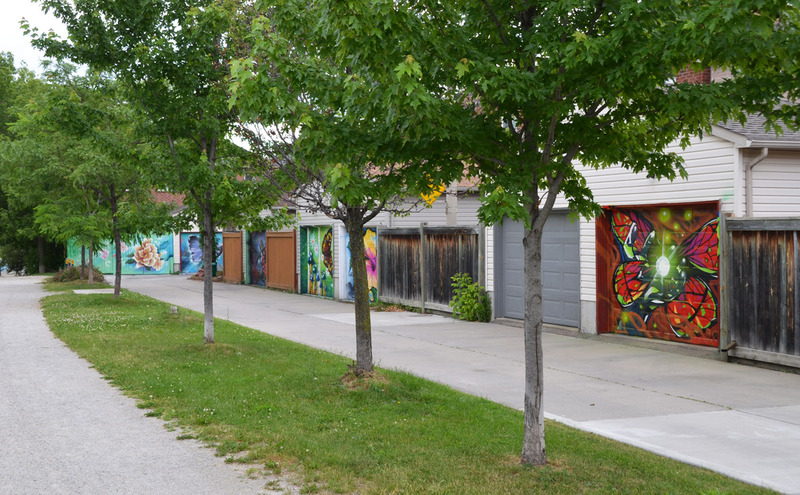 Garrison Creek park is a small strip of green between the railway tracks an alley of garages. 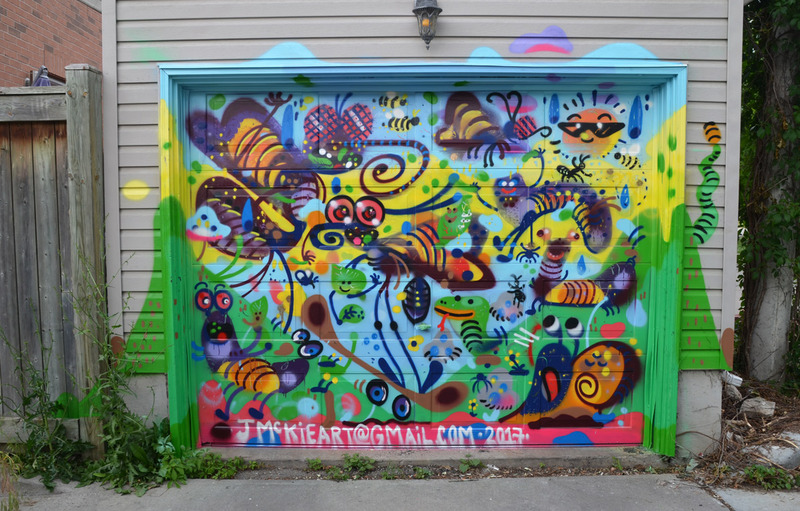 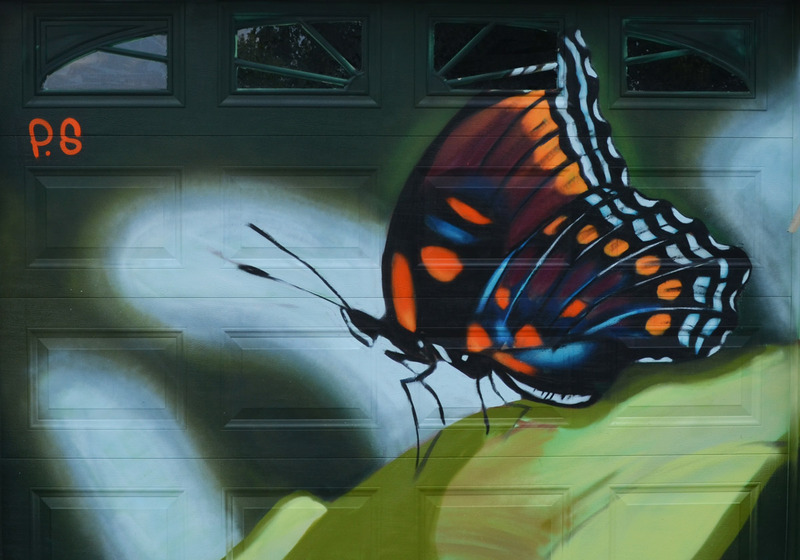 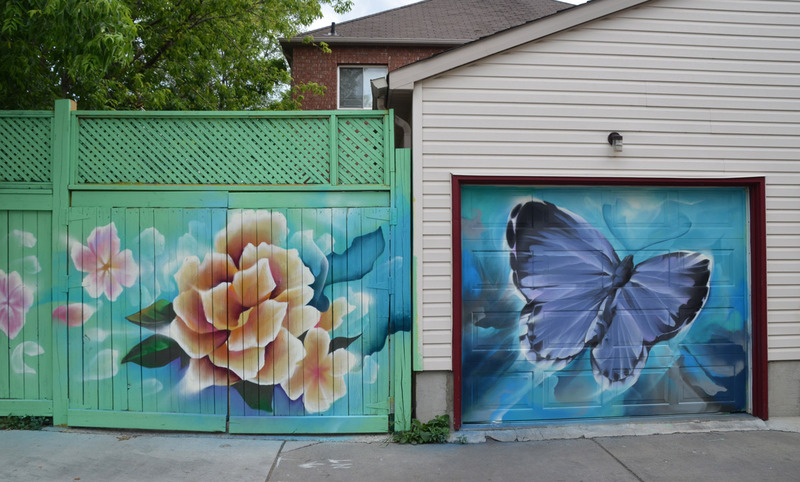 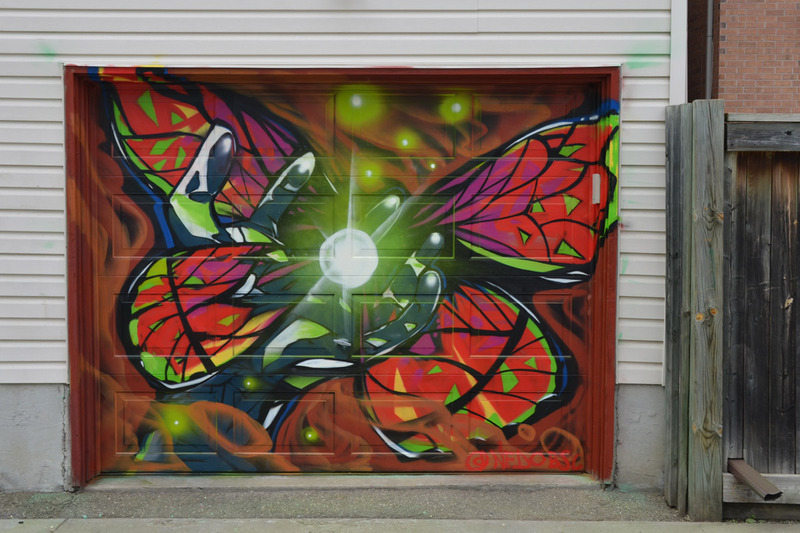 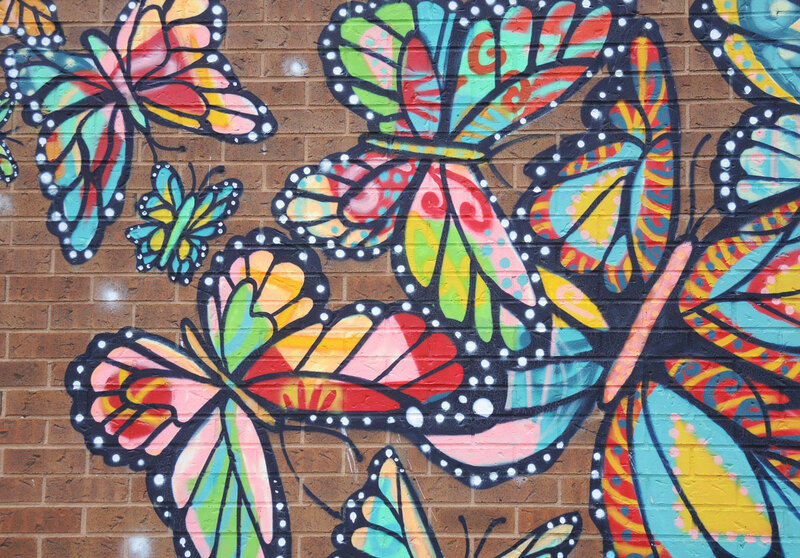 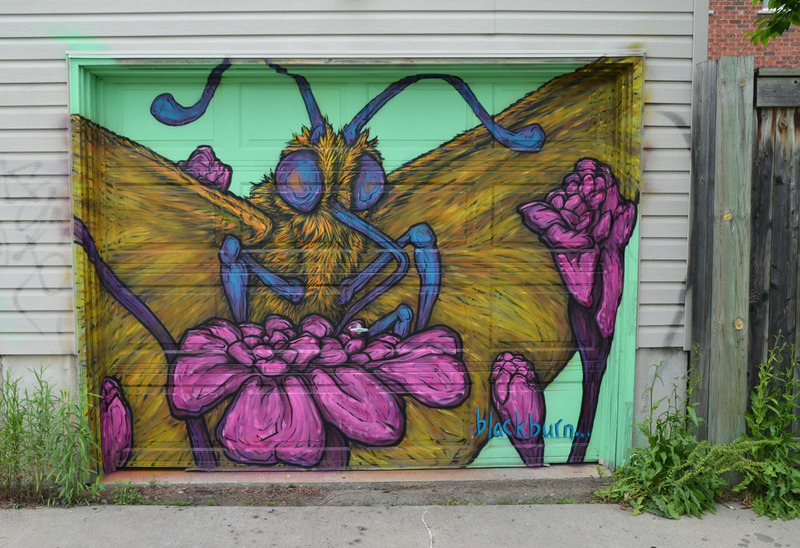 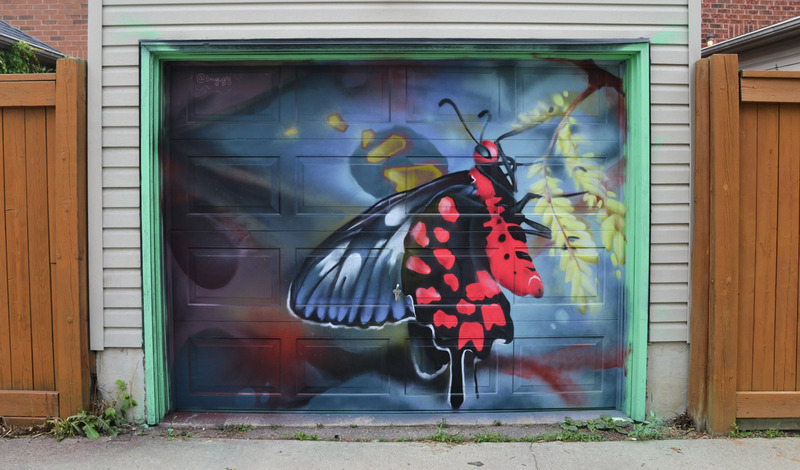 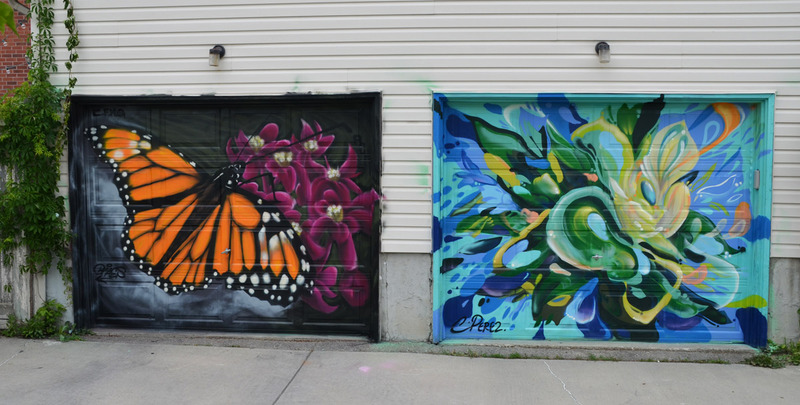 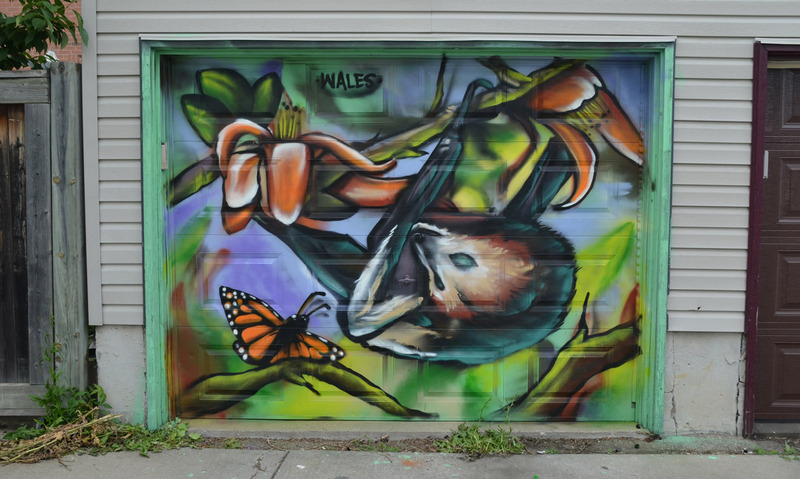 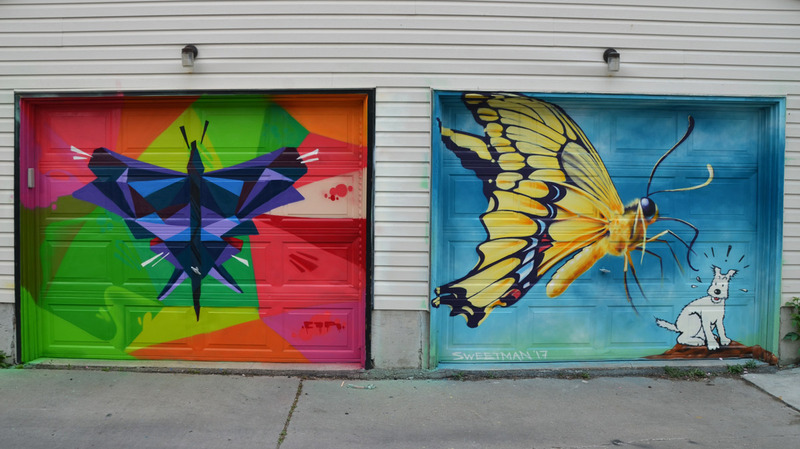 Many of the garage doors were painted last weekend with murals all on the theme of butterflies. 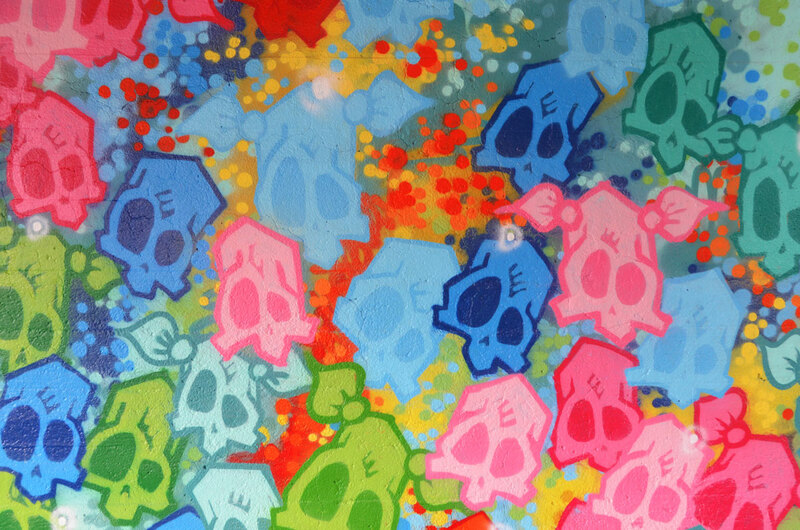 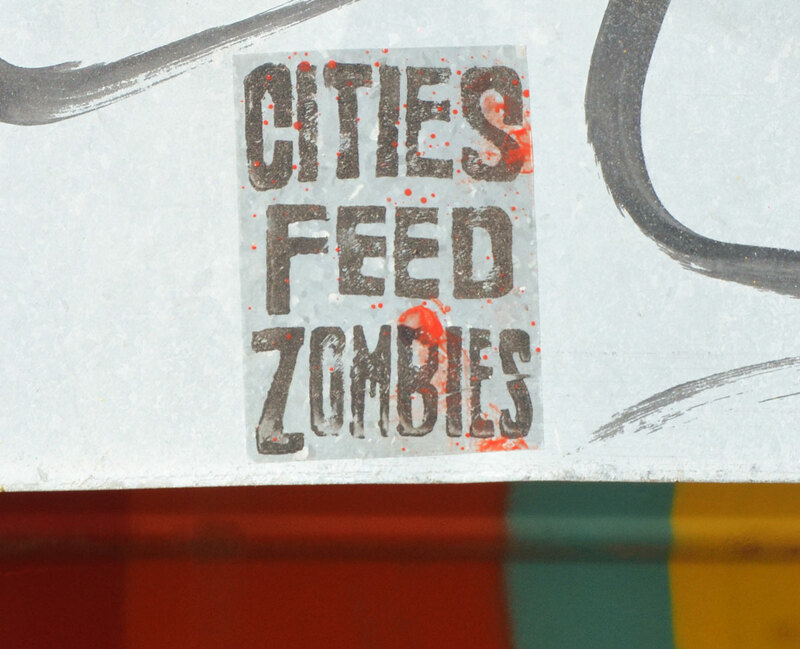 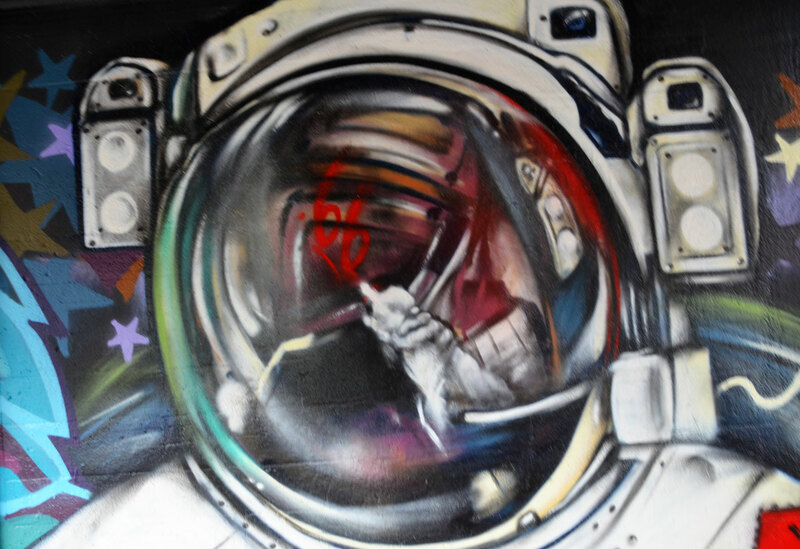 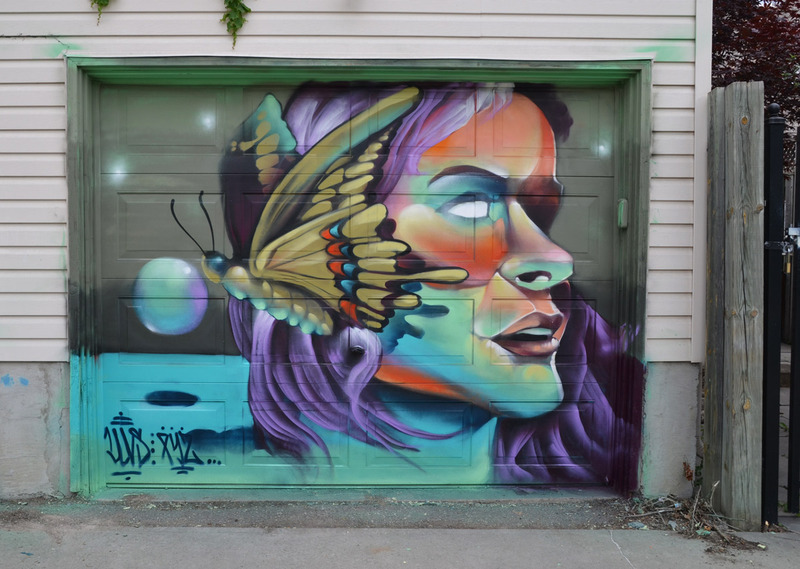 There are about 30 paintings and they are the work of a number of different street artists. 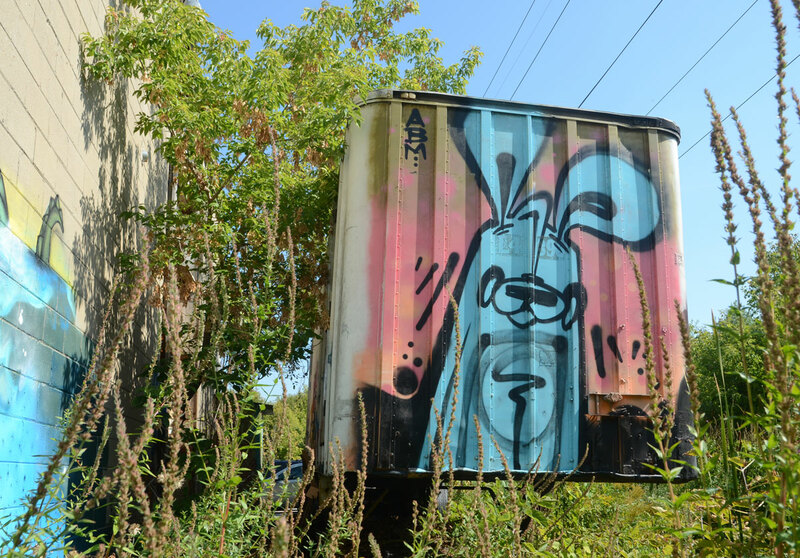 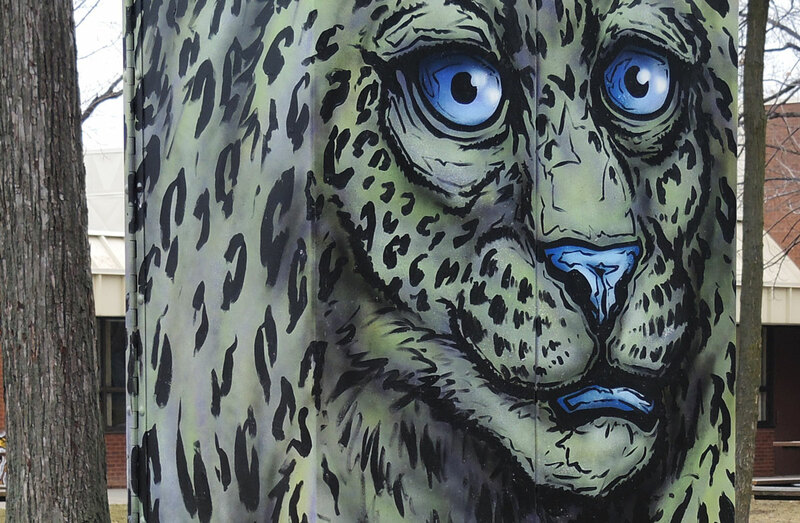 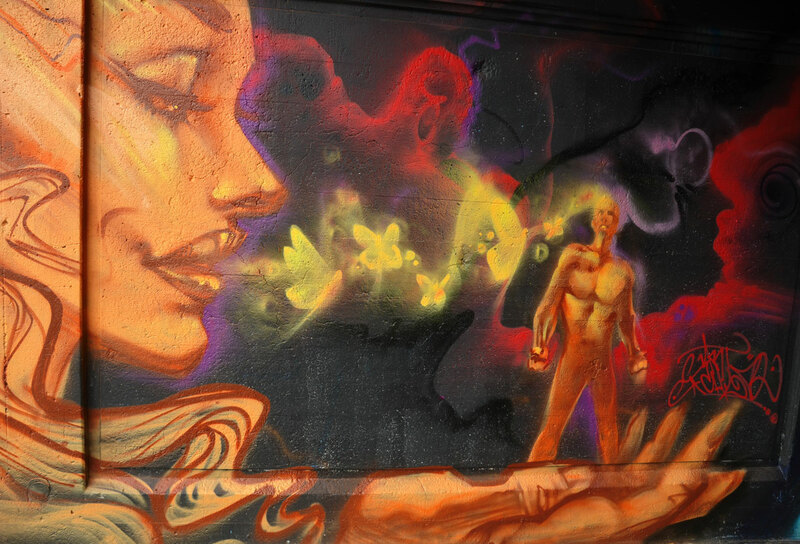 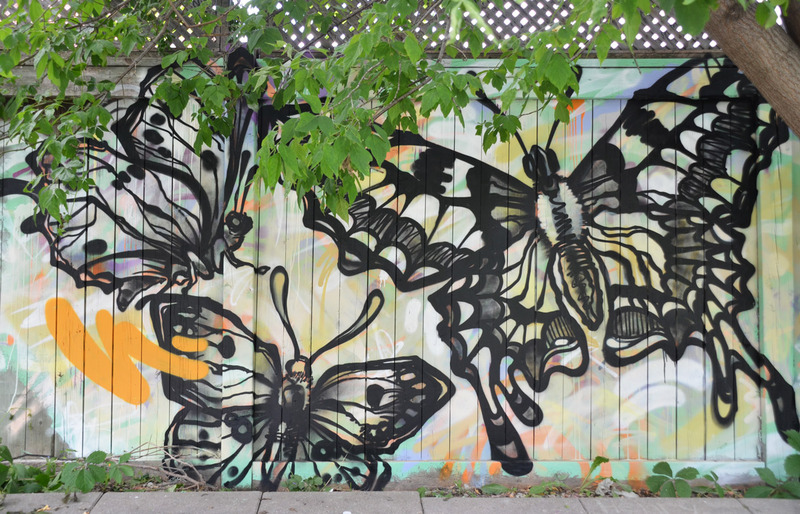 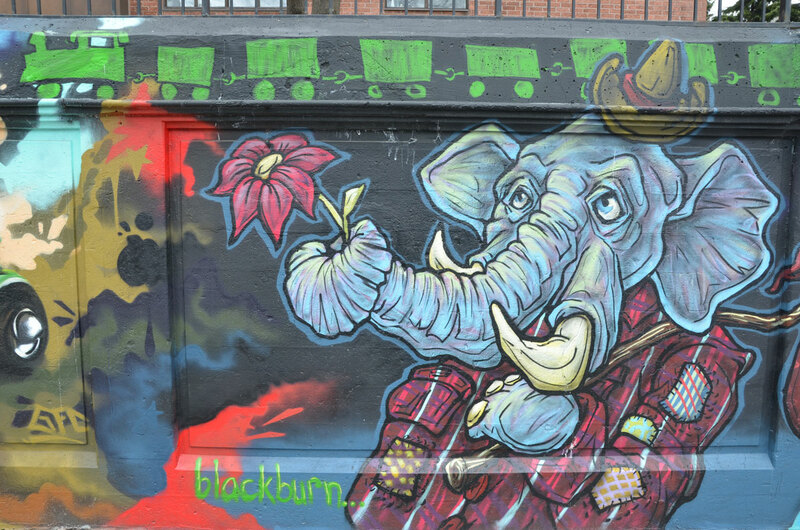 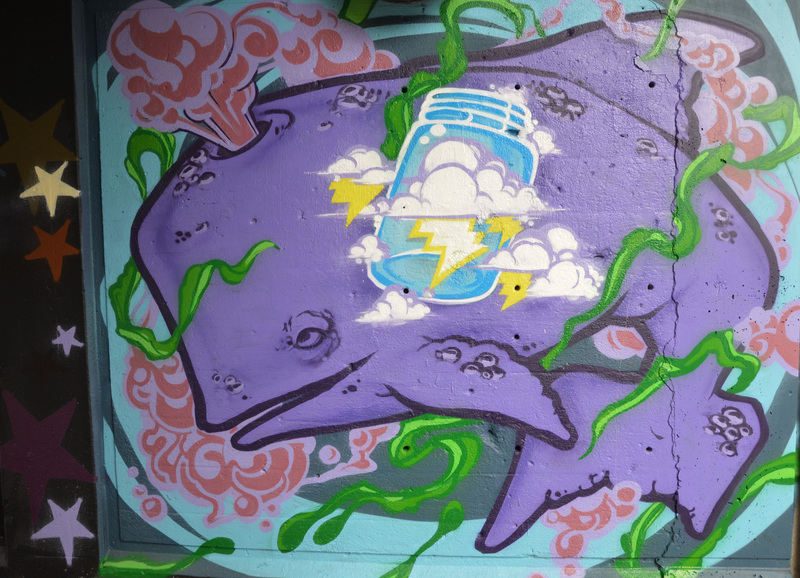 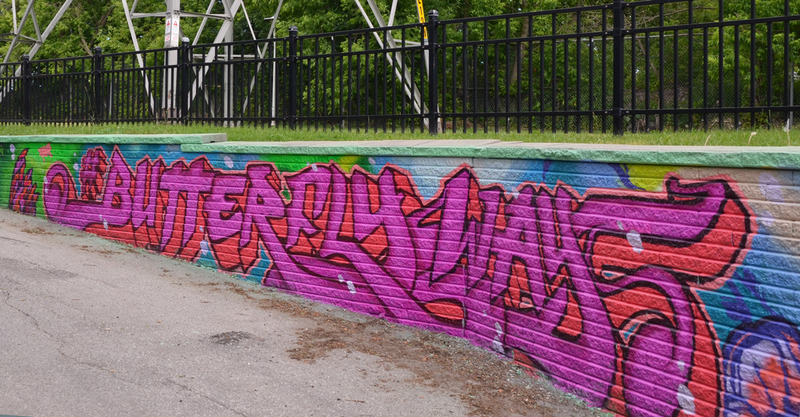 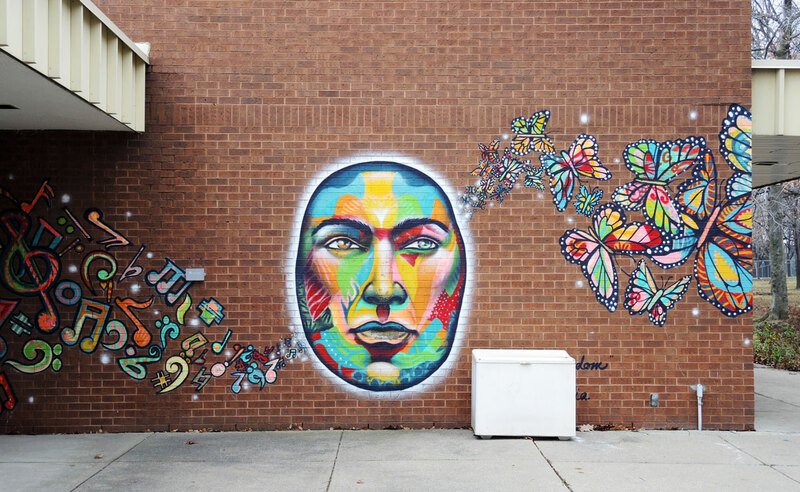 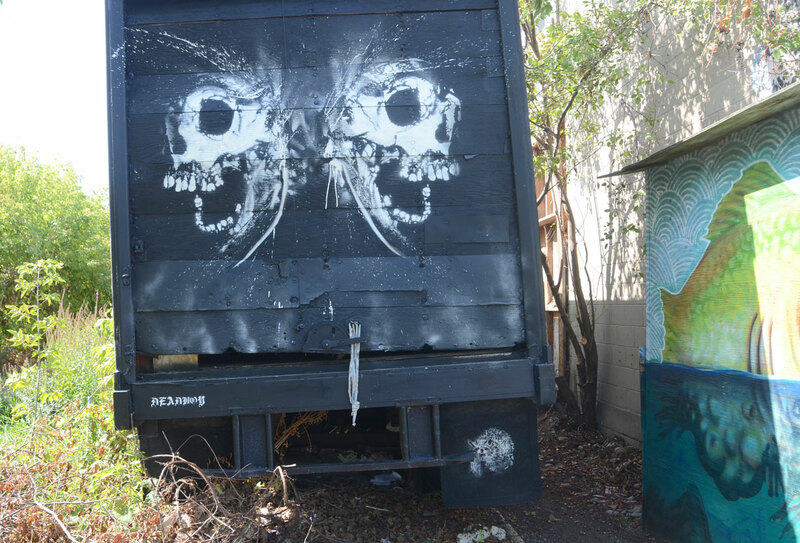 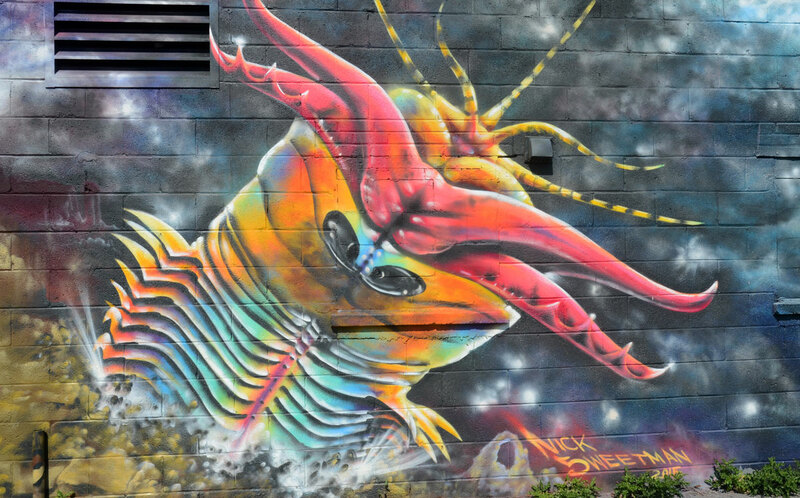 The project was curated by Nick Sweetman and it is part of the David Suzuki Foundation’s Butterflyway project; StreetARToronto was also involved. 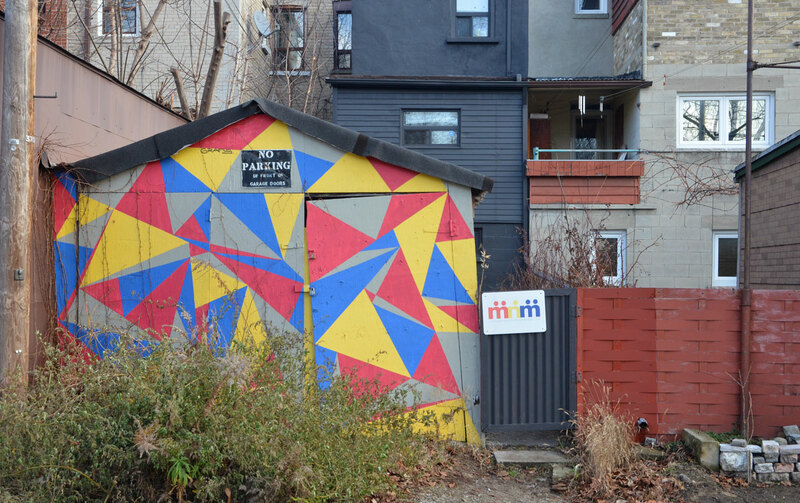 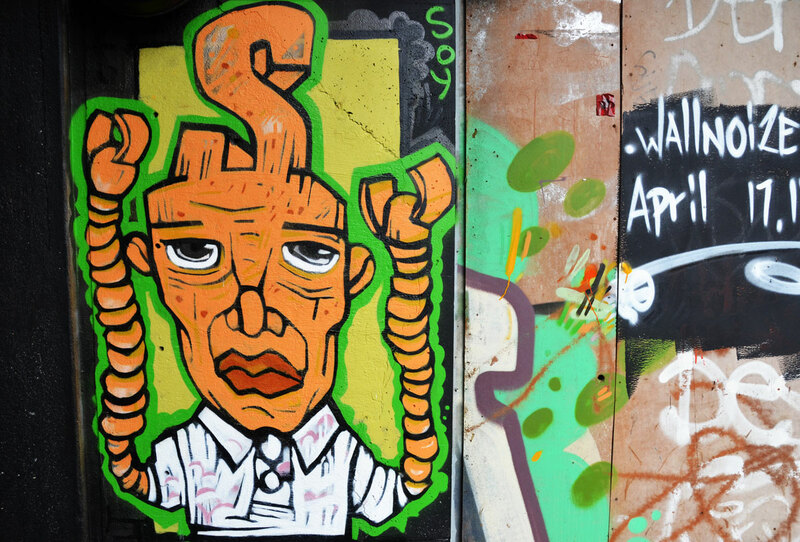 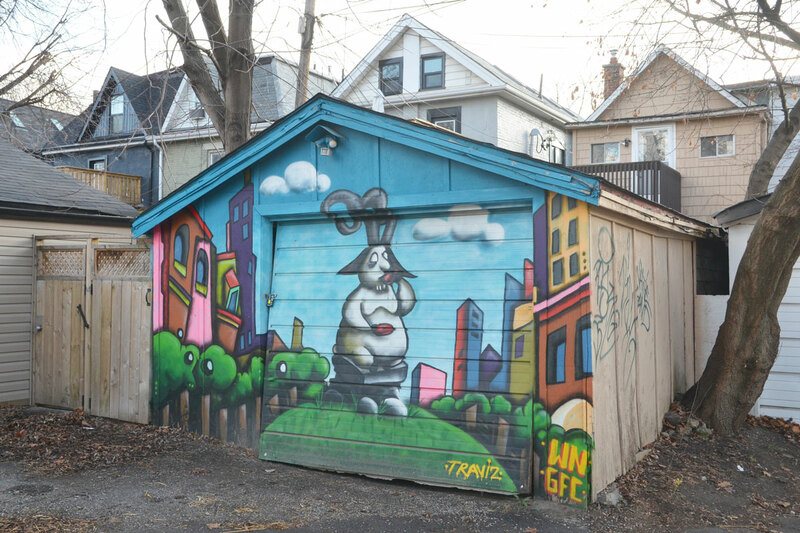 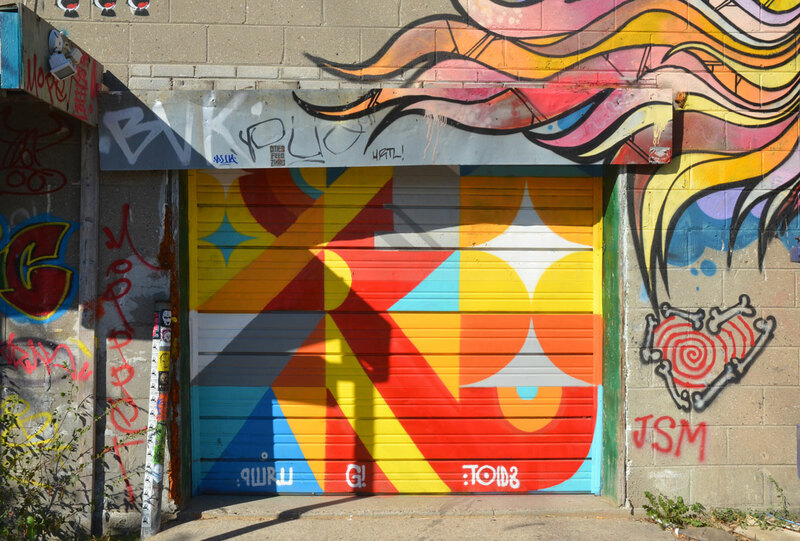 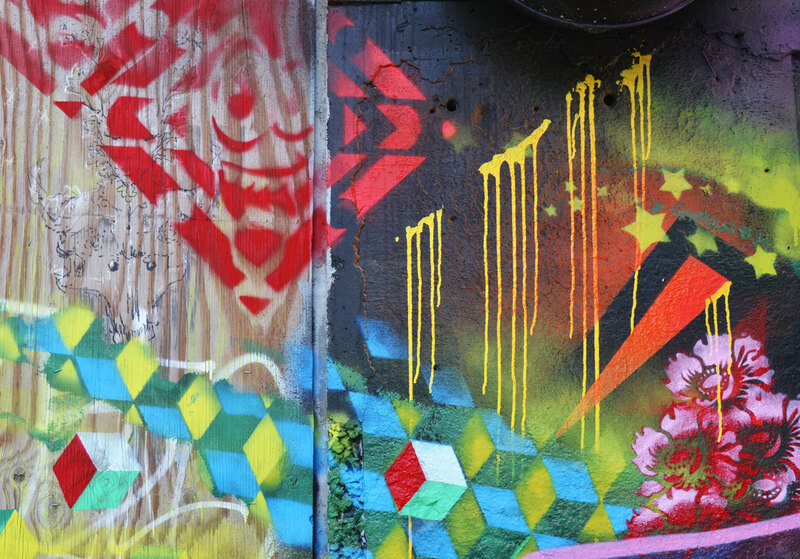 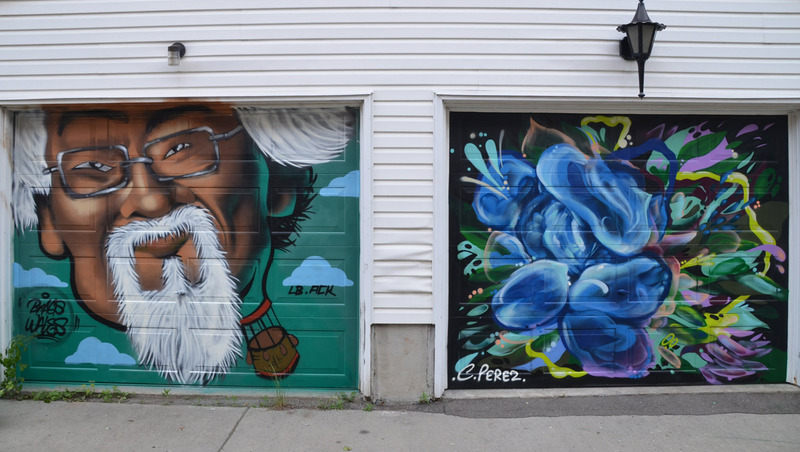 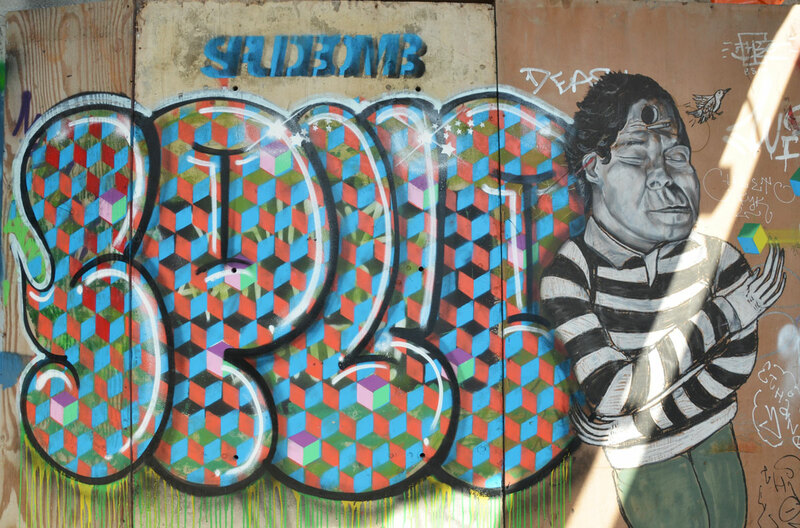 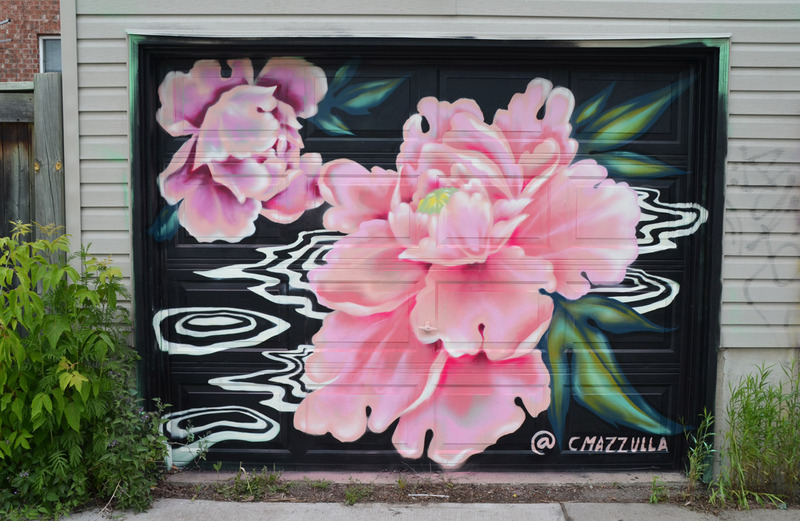 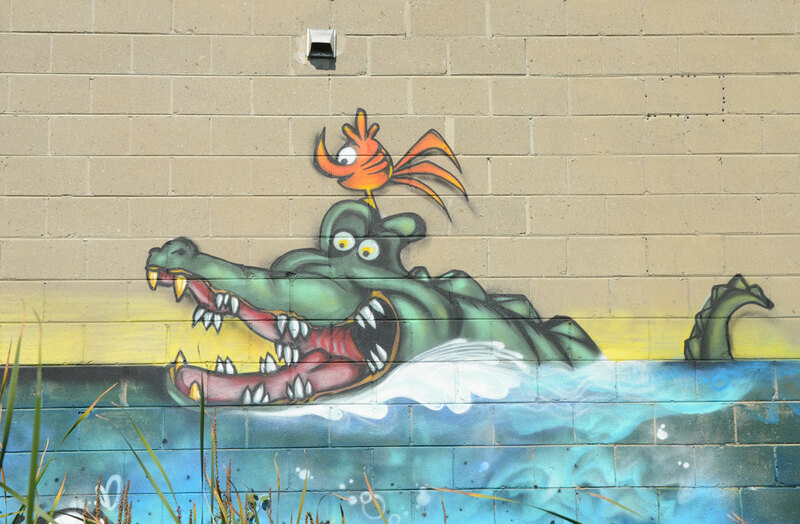 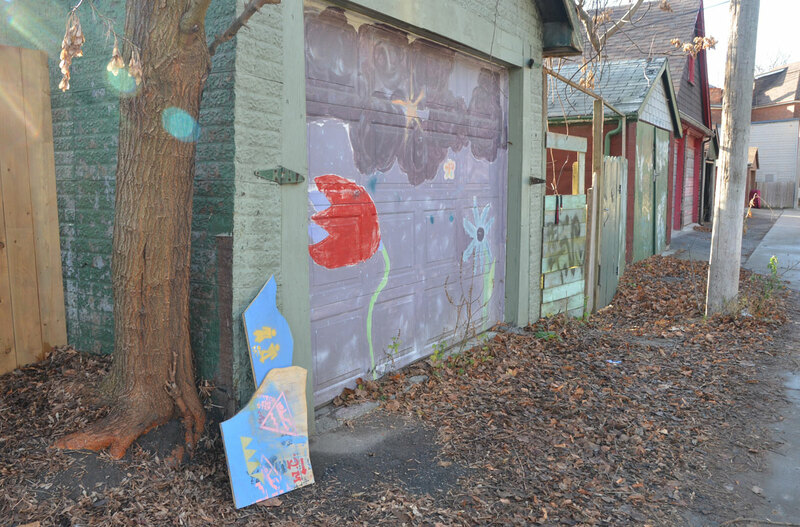 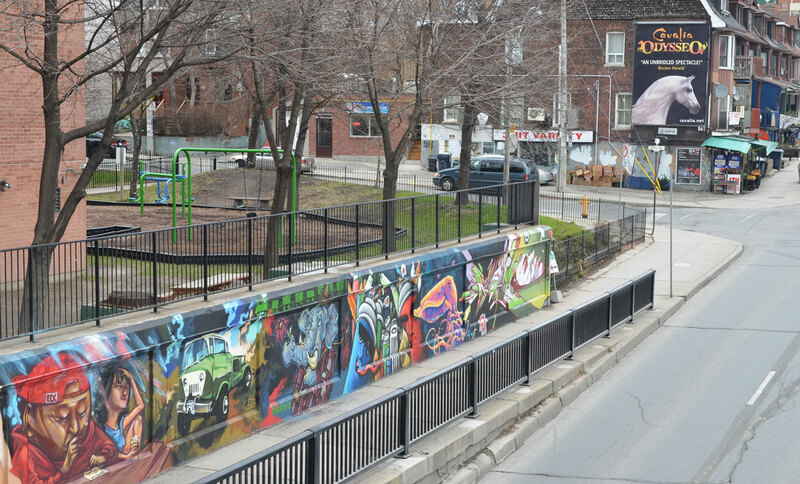 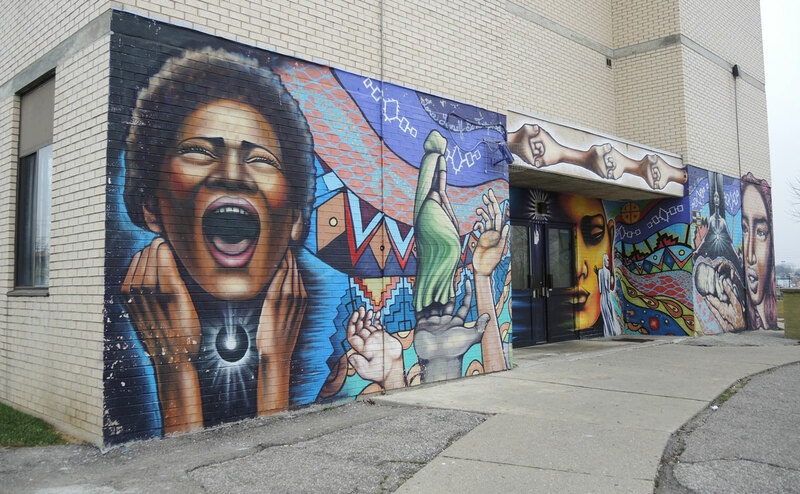 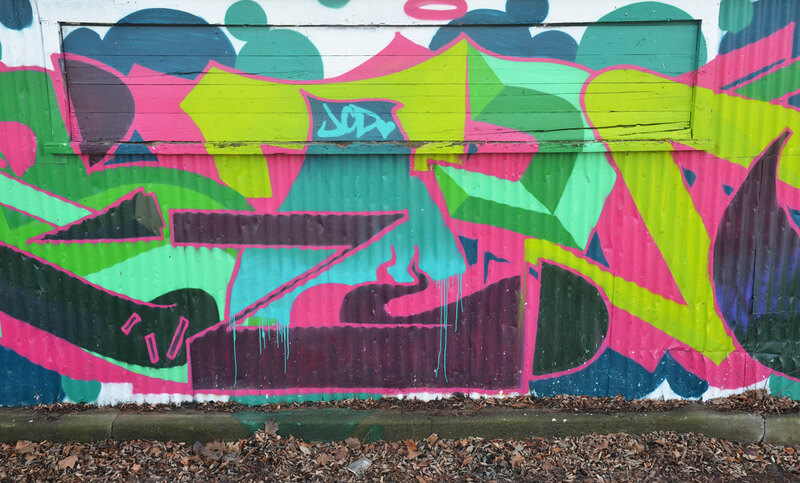 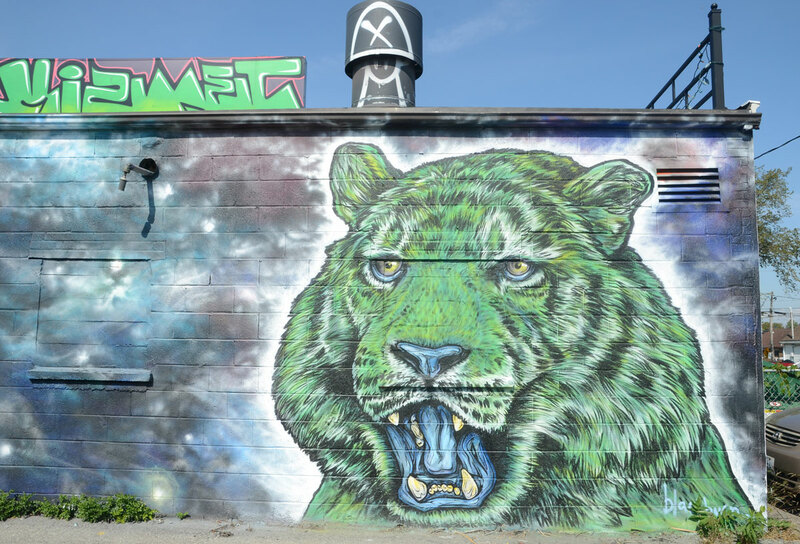 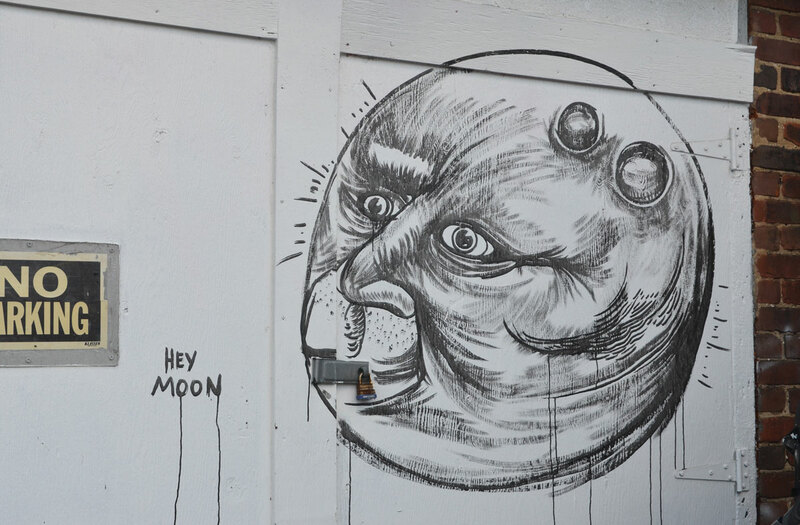 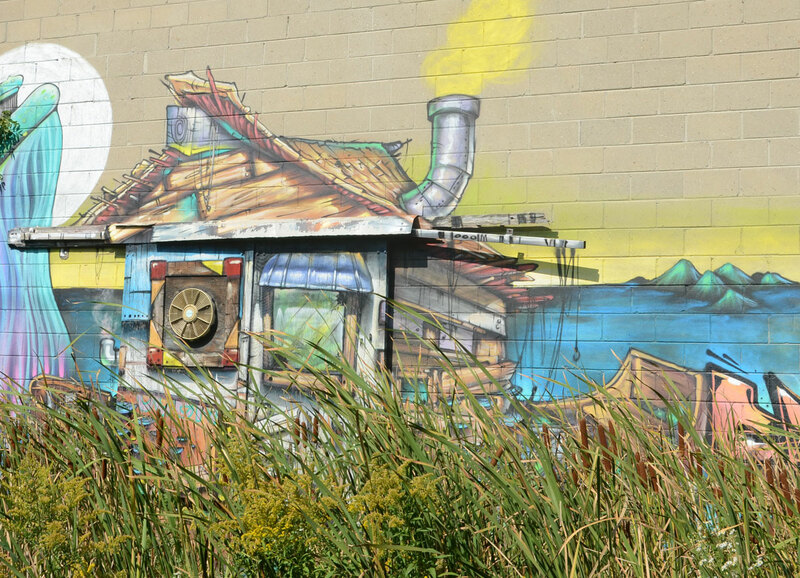 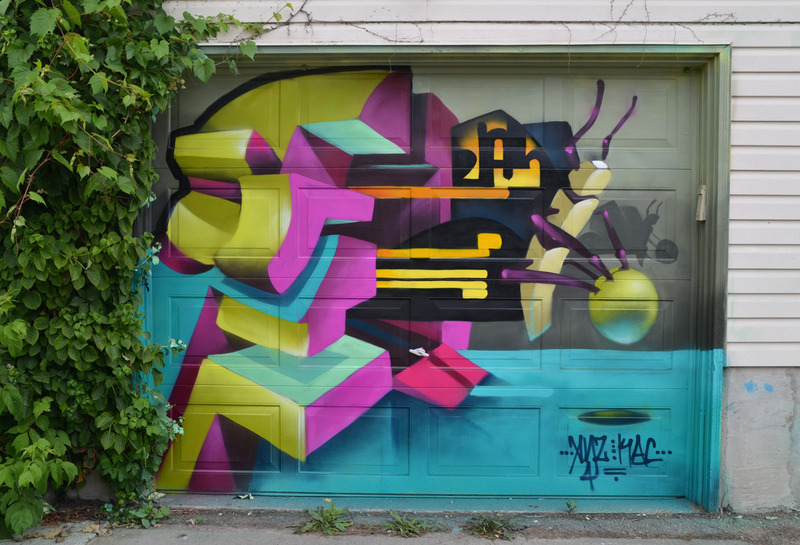 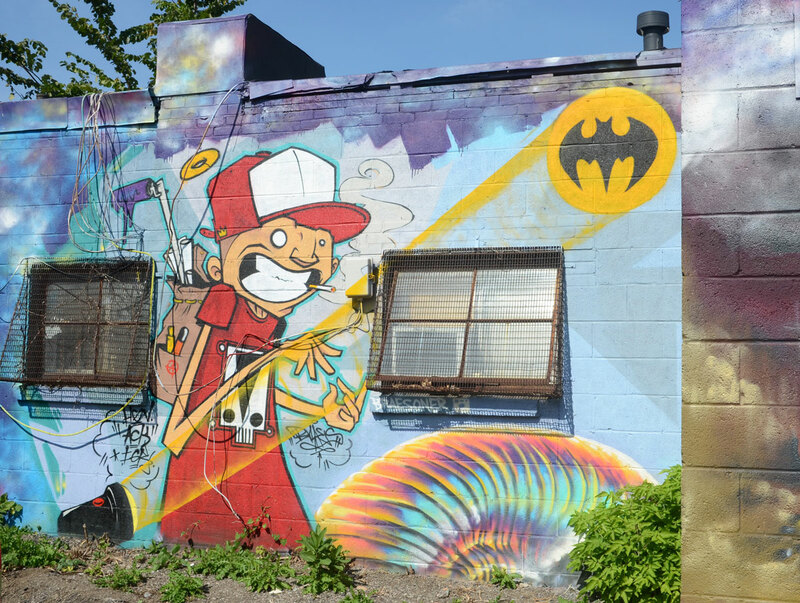 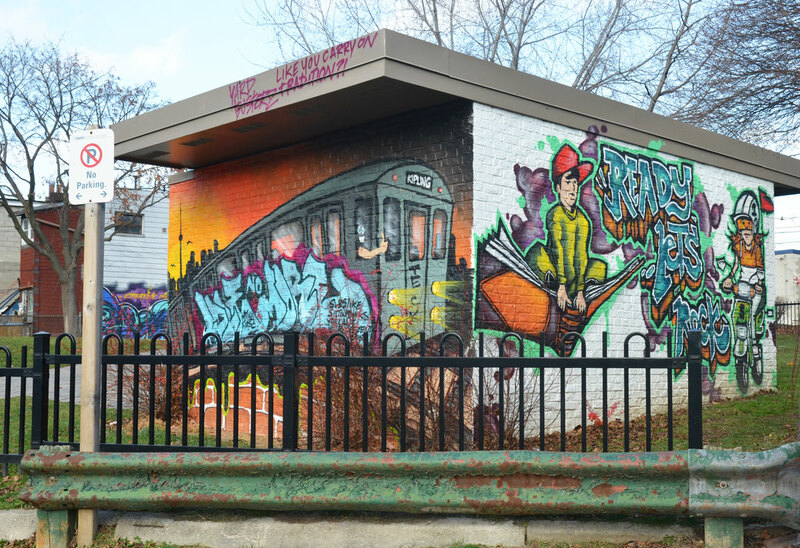 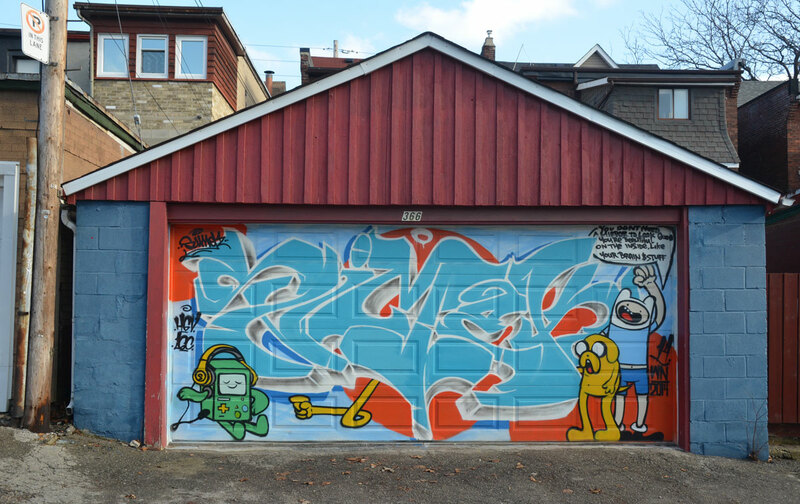 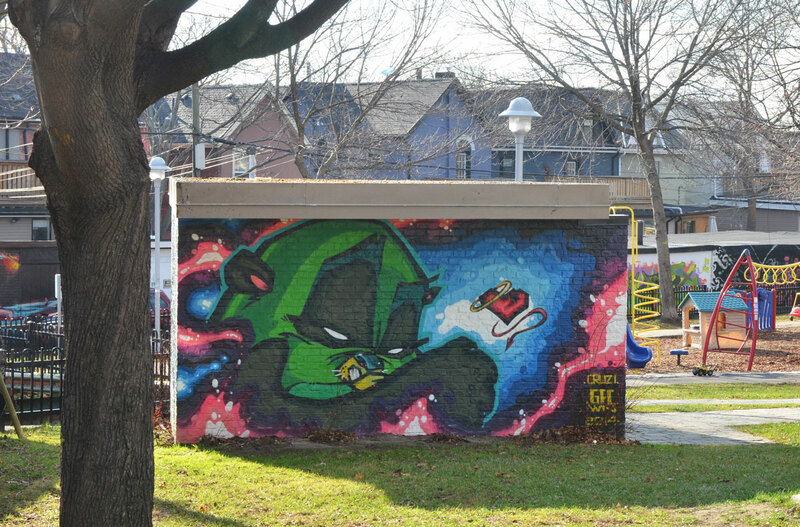 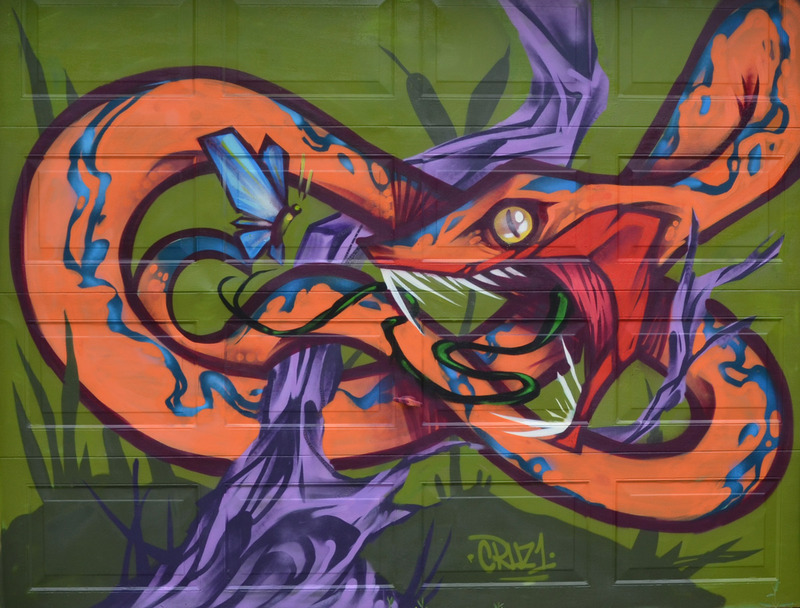 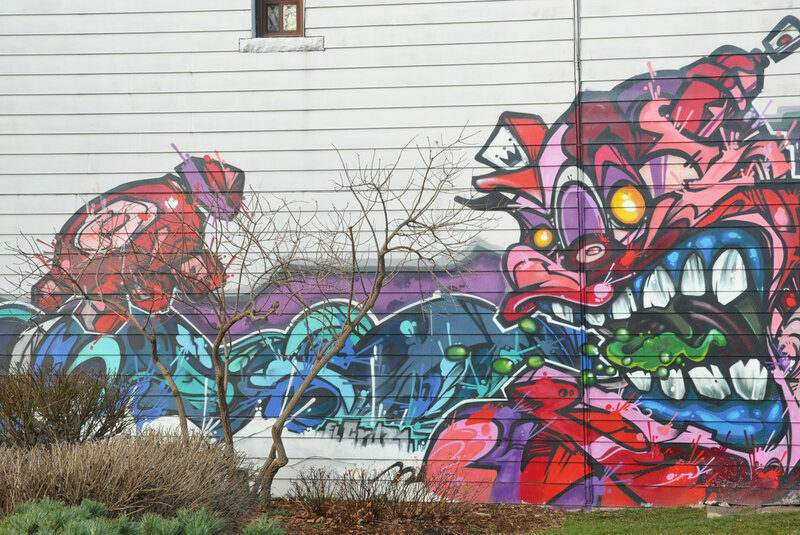 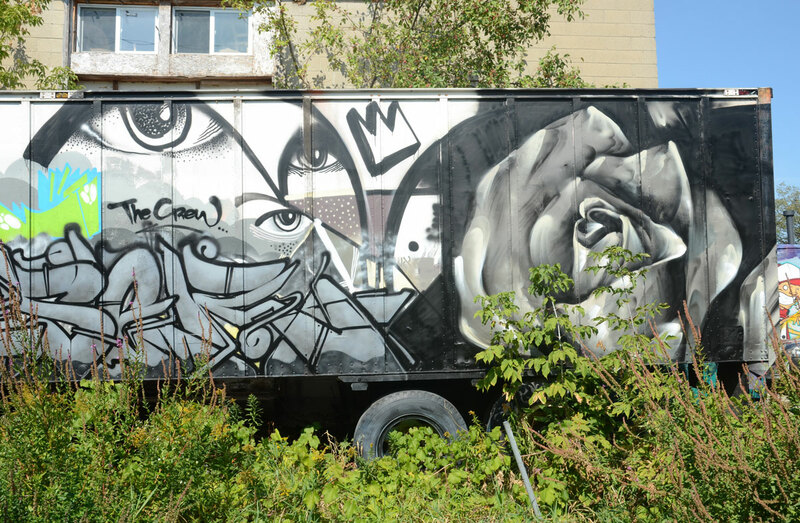 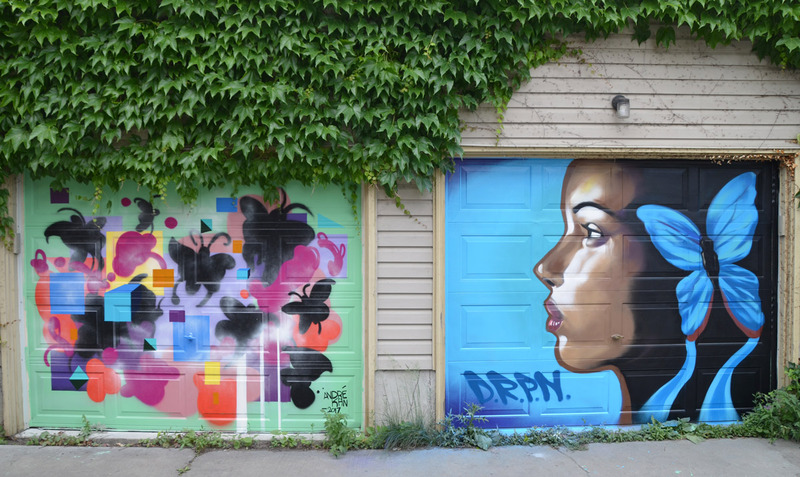 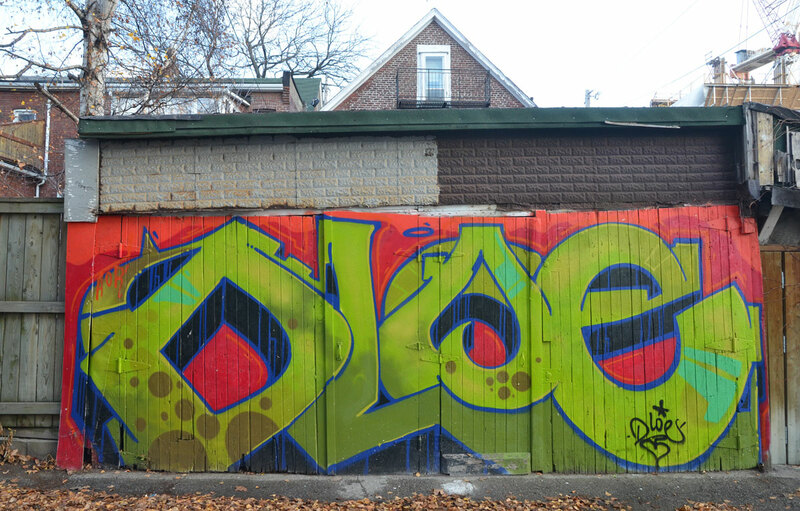 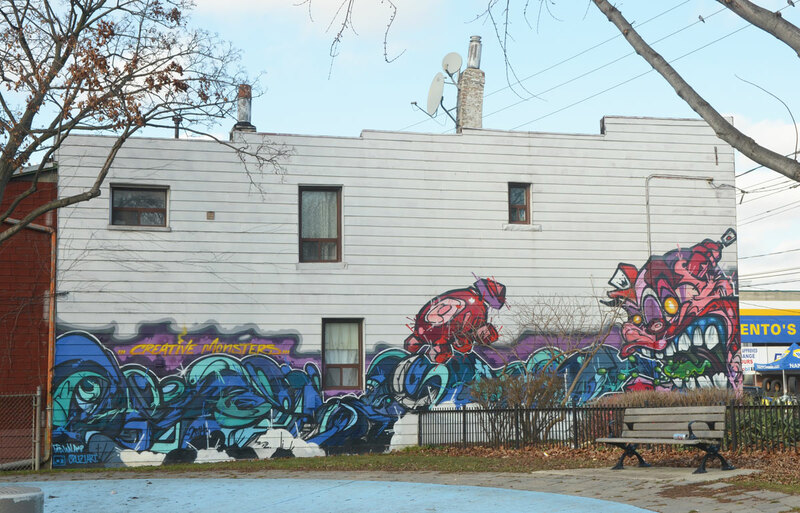 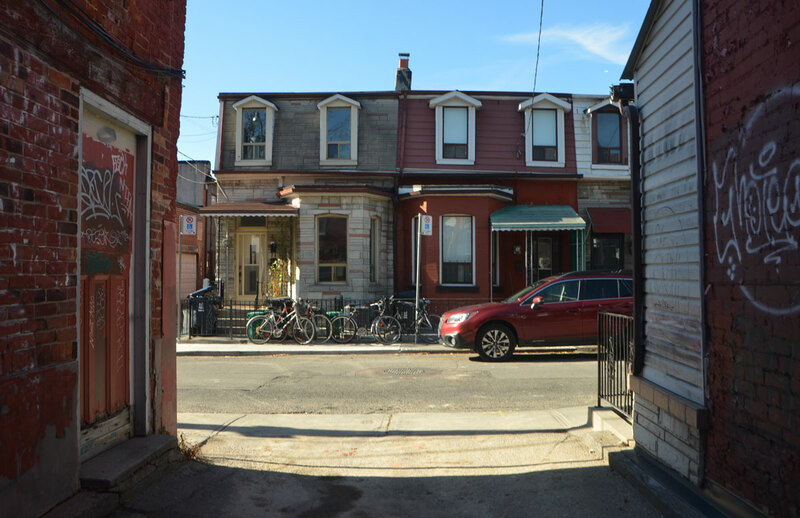 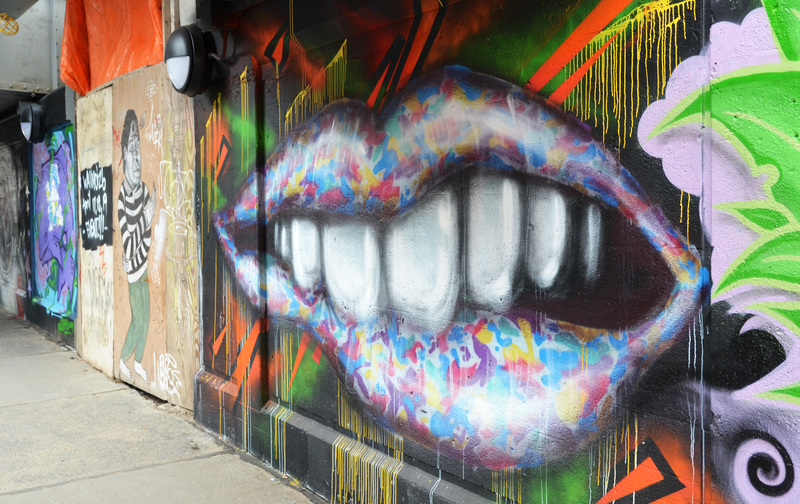 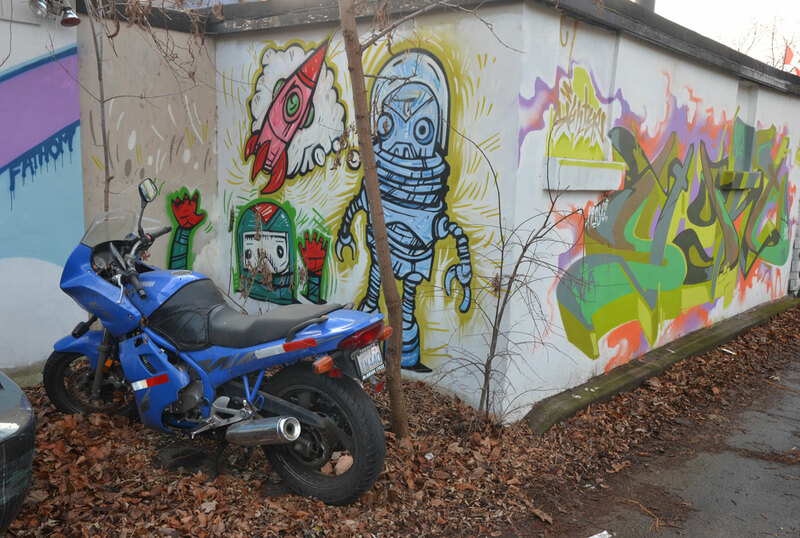 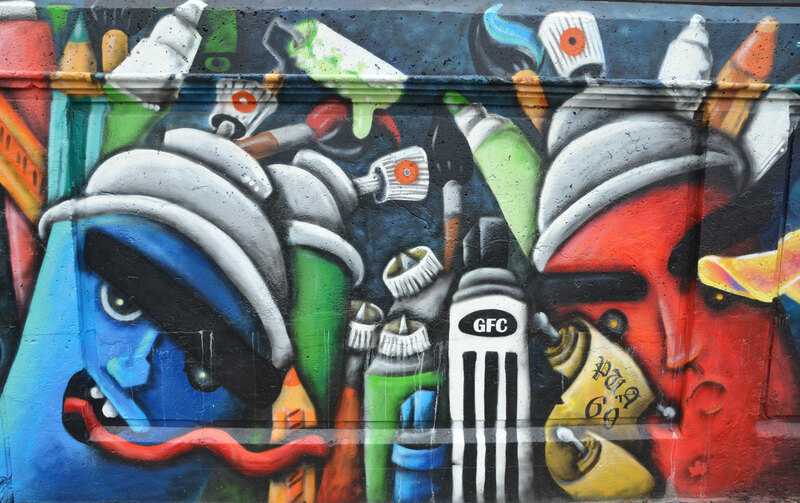 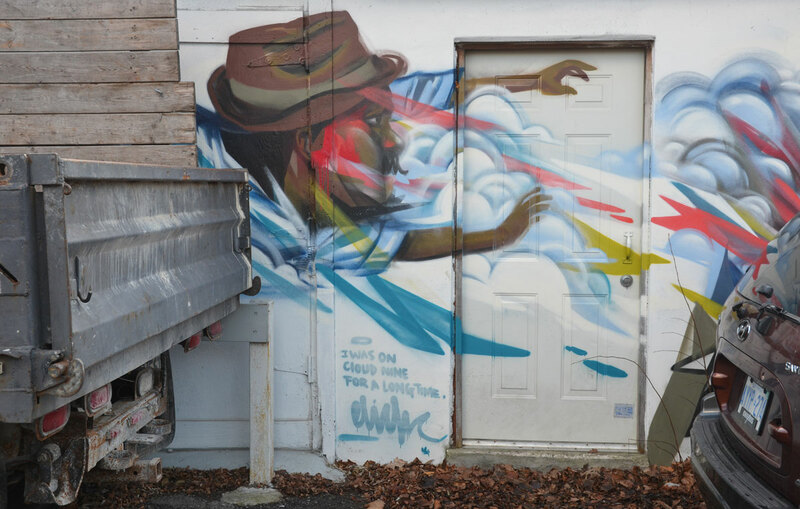 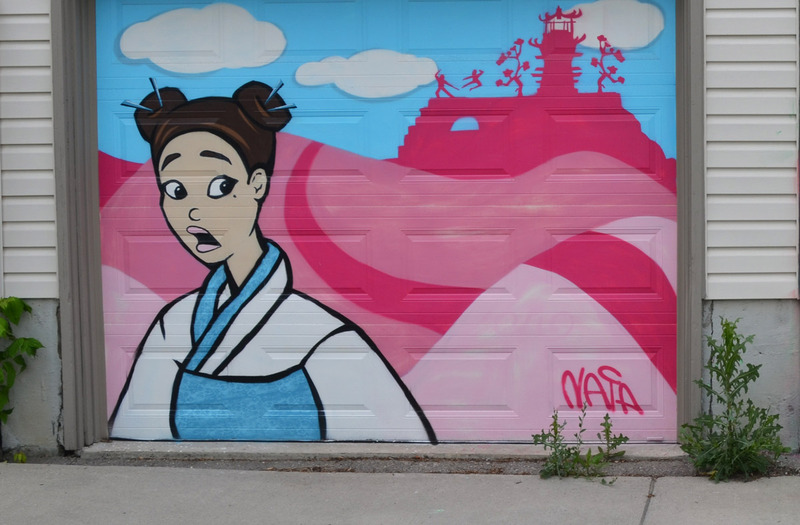 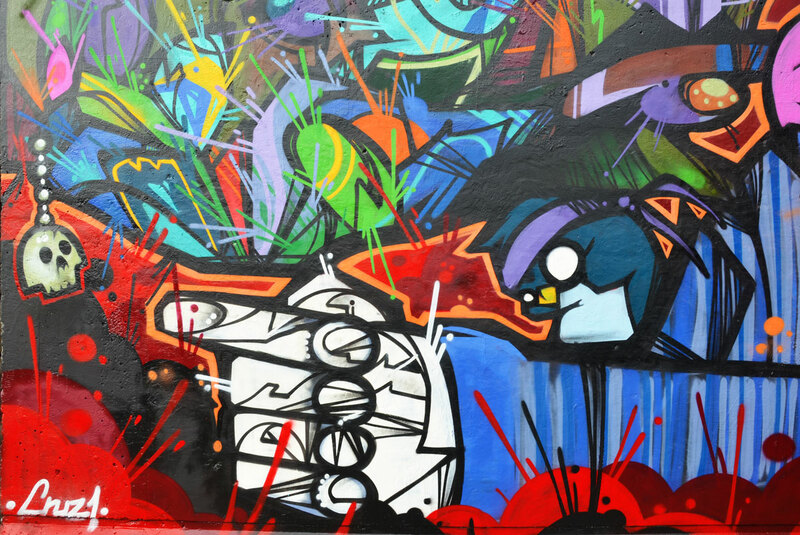 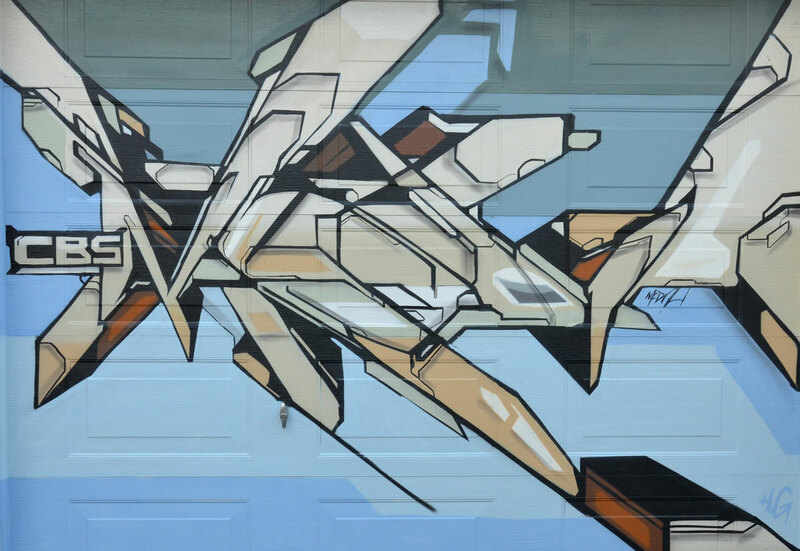 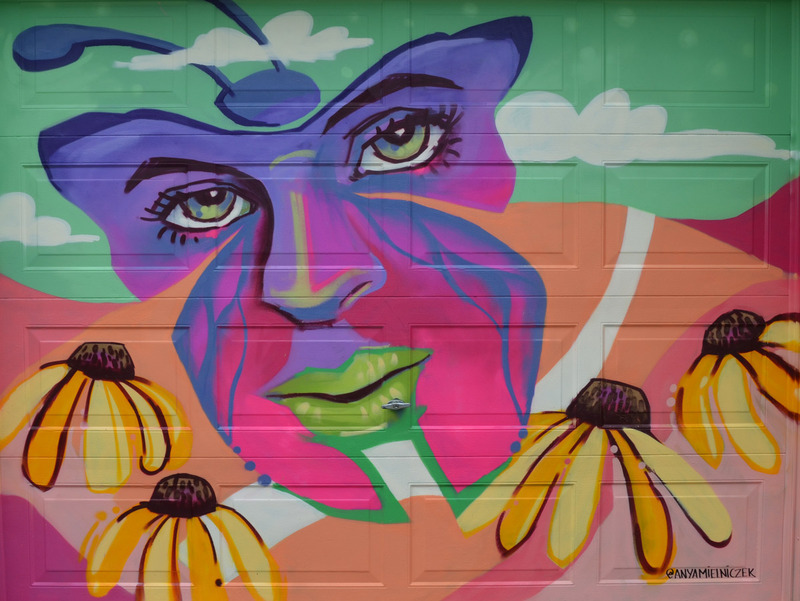 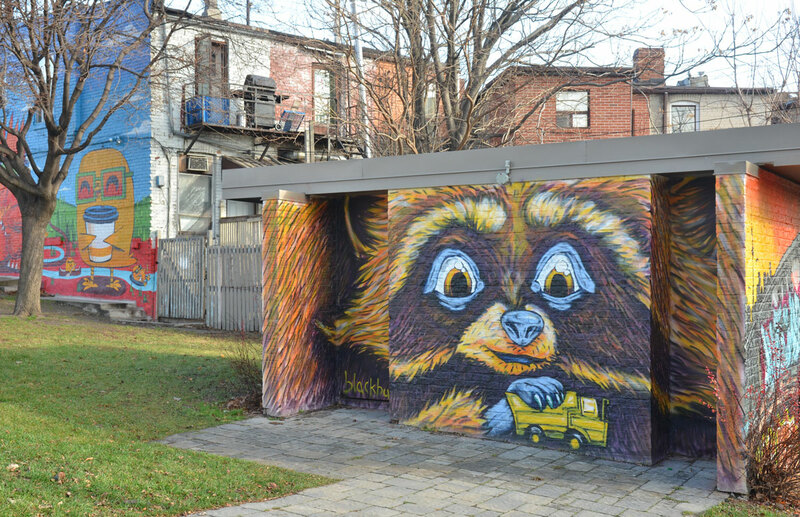 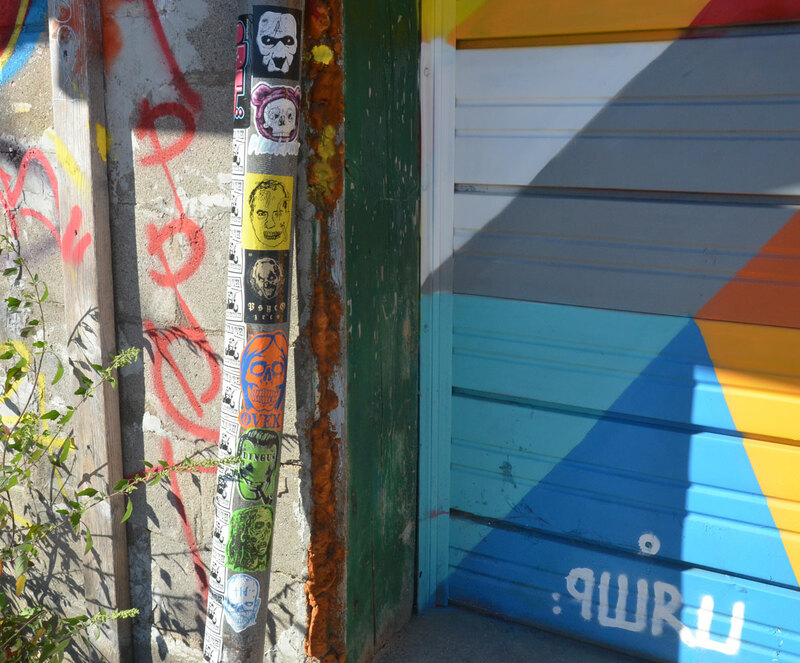 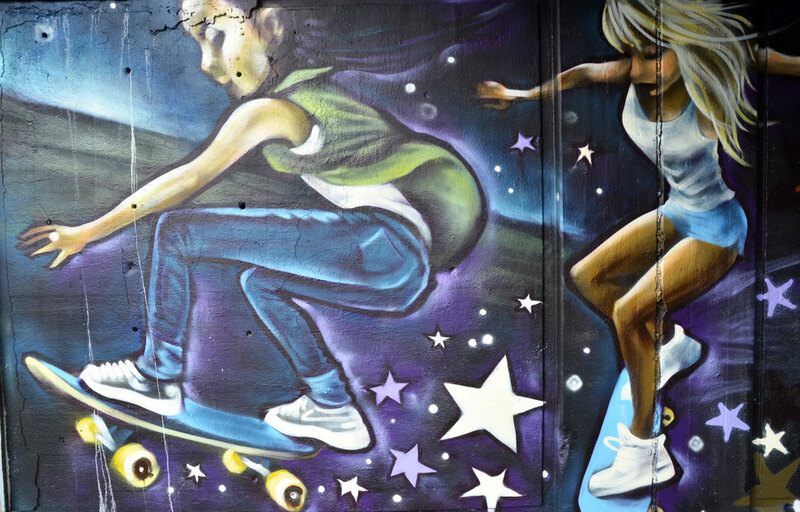 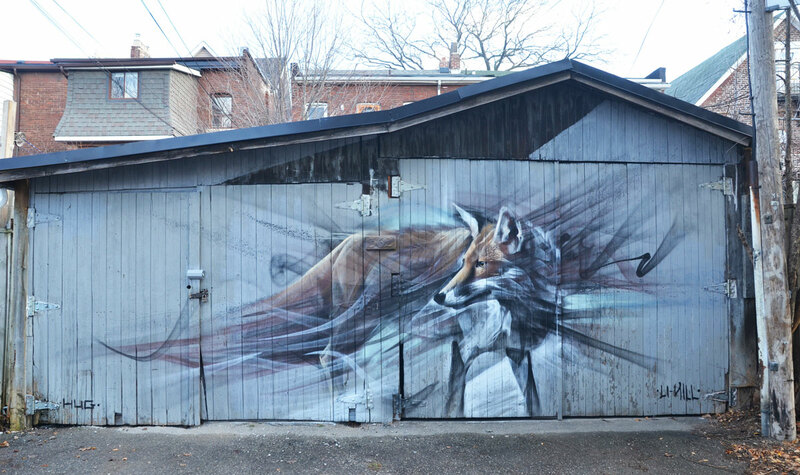 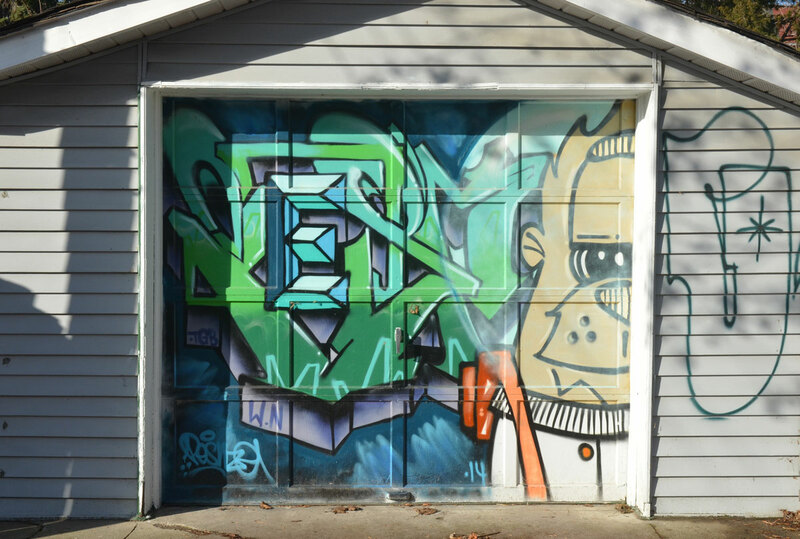 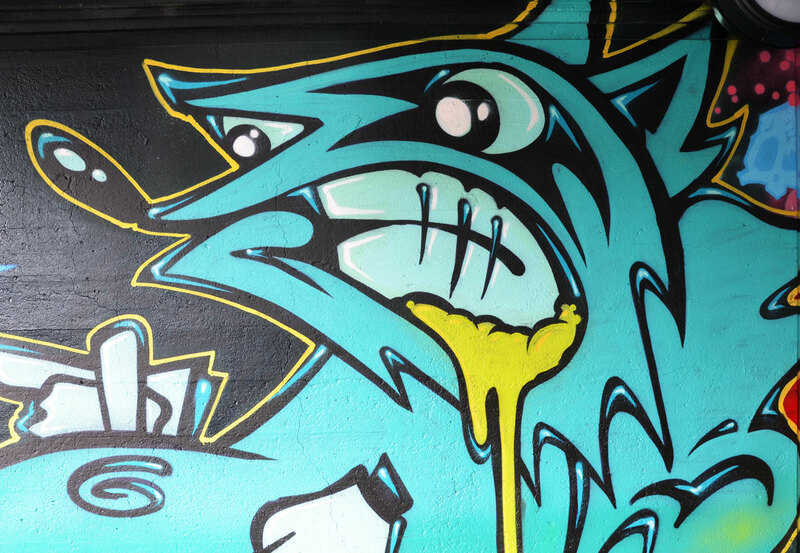 Graffiti and street art on walls and garage doors in the alleys surrounding Sorauren Park. 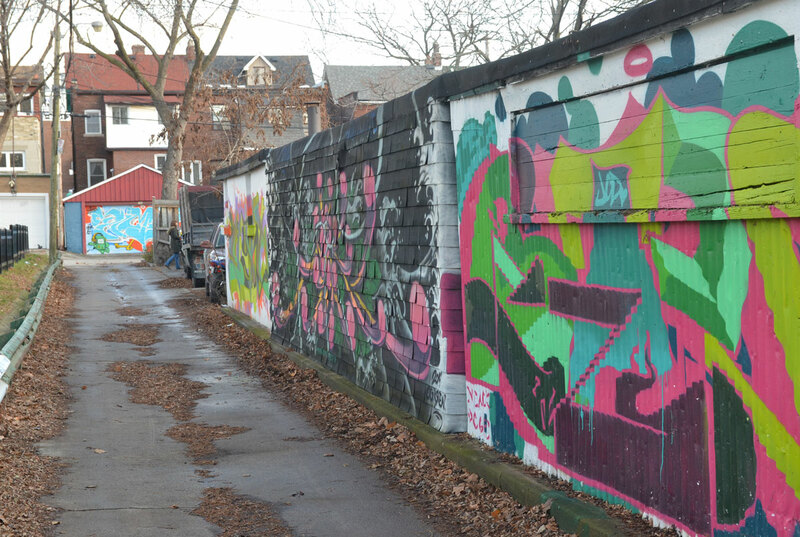 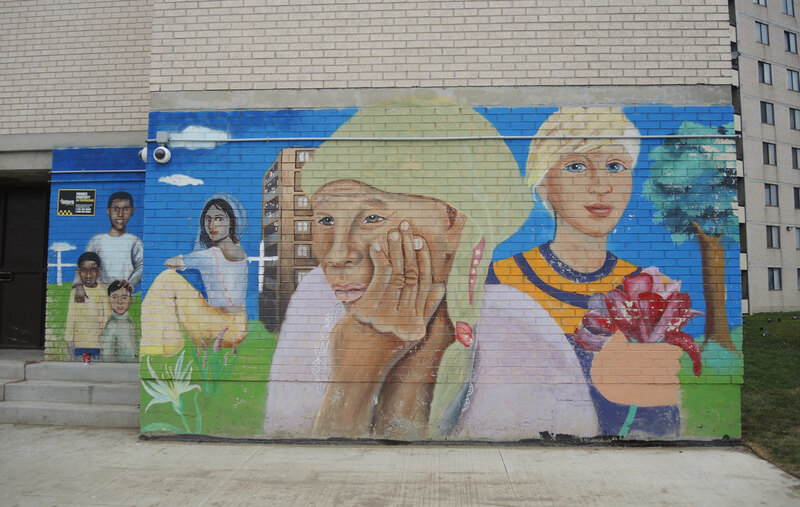 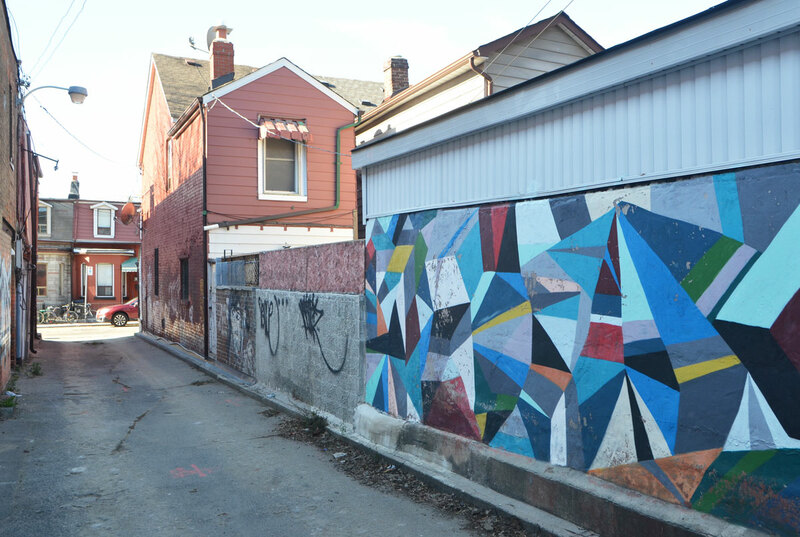 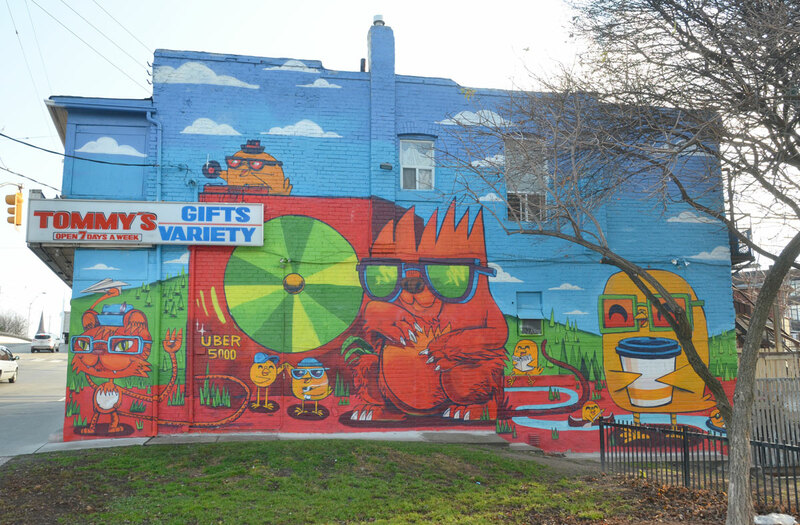 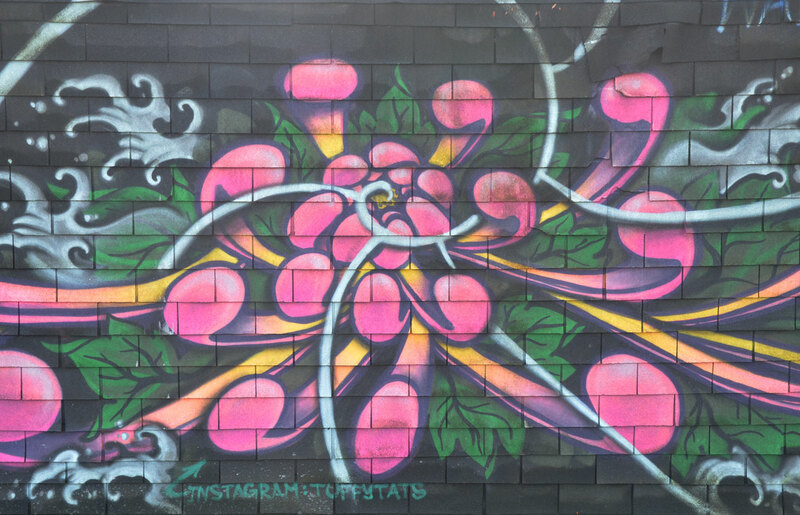 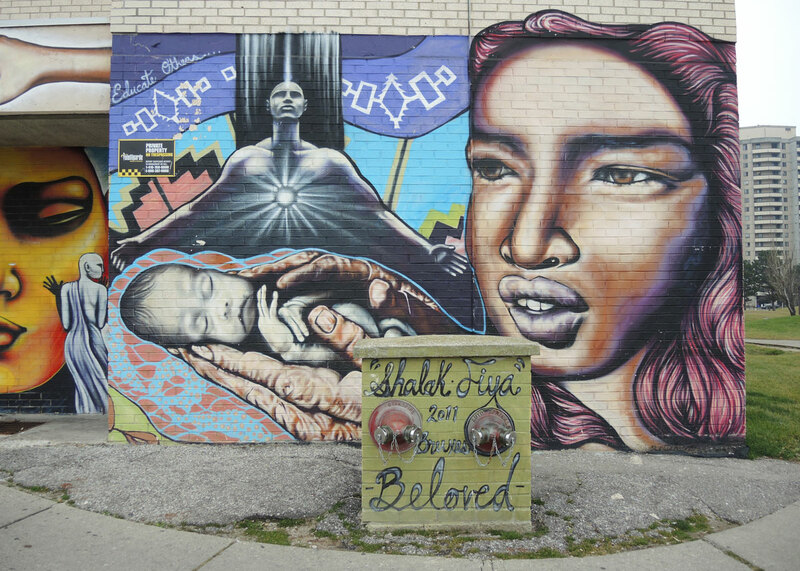 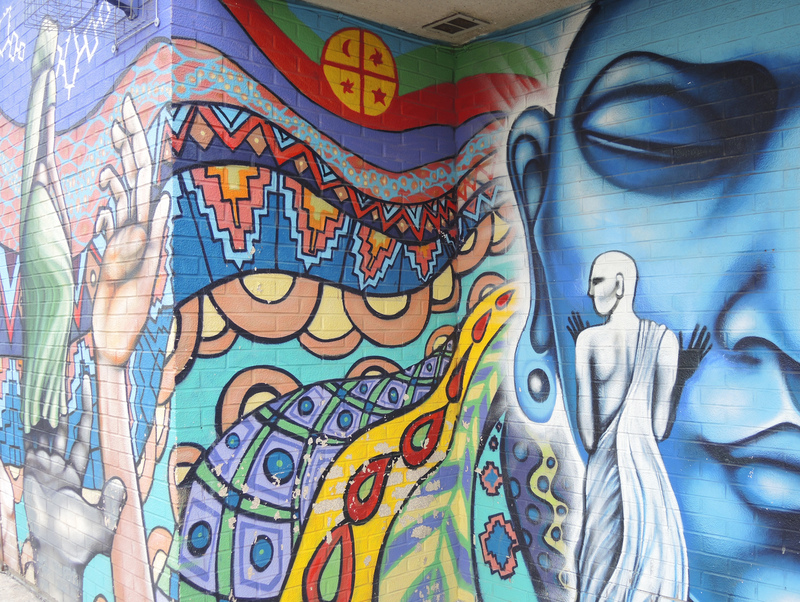 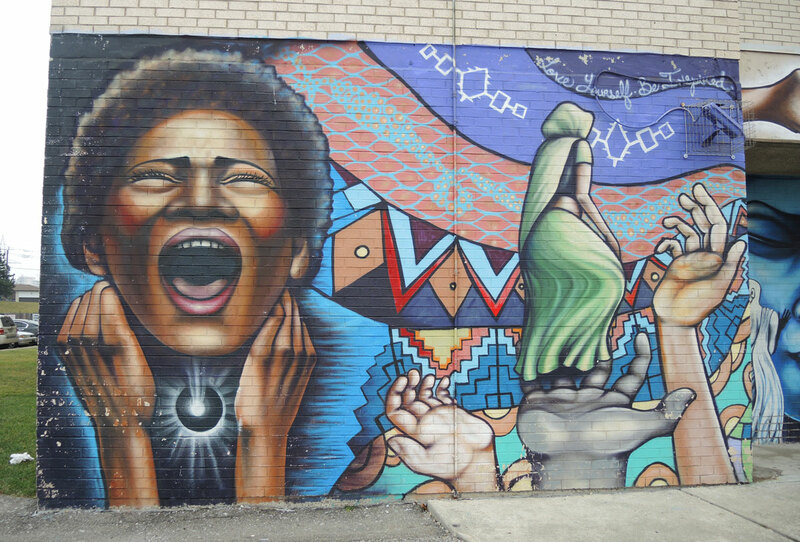 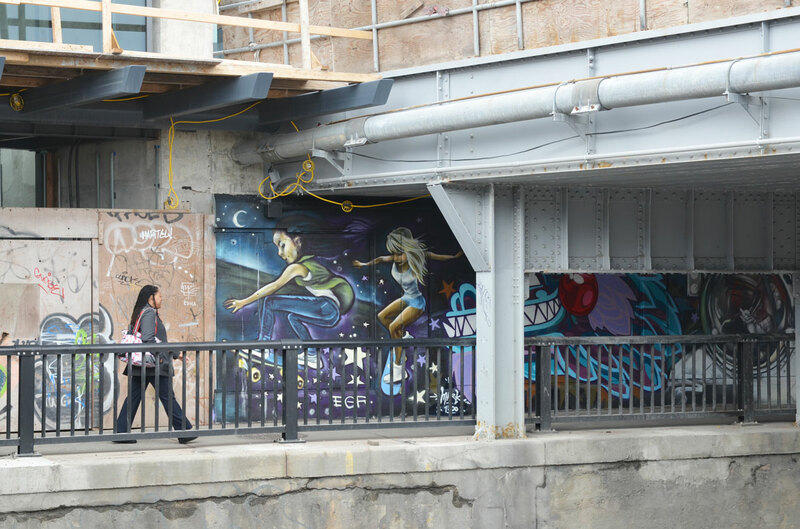 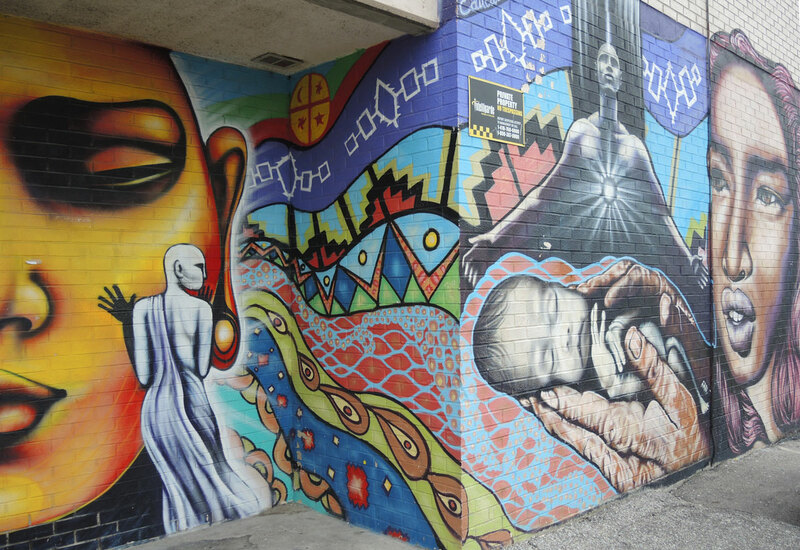 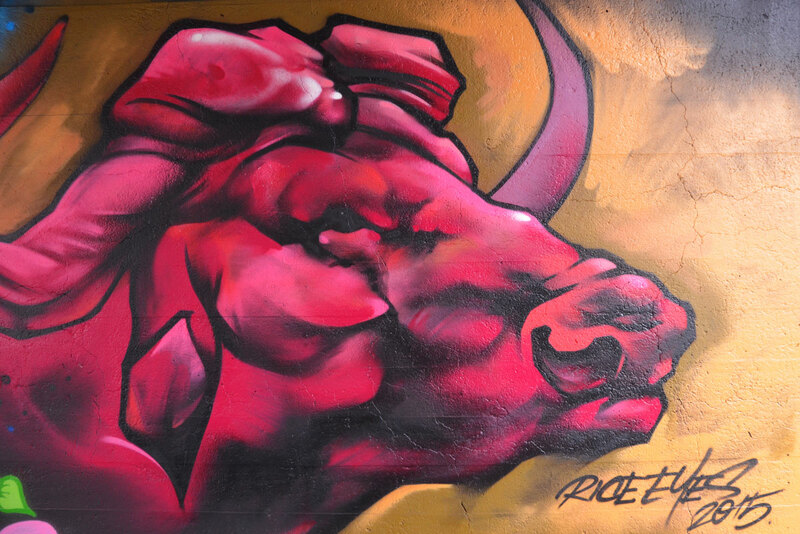 below: If you are walking eastward along Dundas West, this is the first mural that you see. 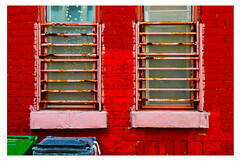 below: by elicser, I was on cloud nine for a long time. 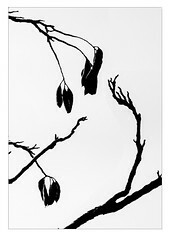 below: by elicser, It’s almost dark. 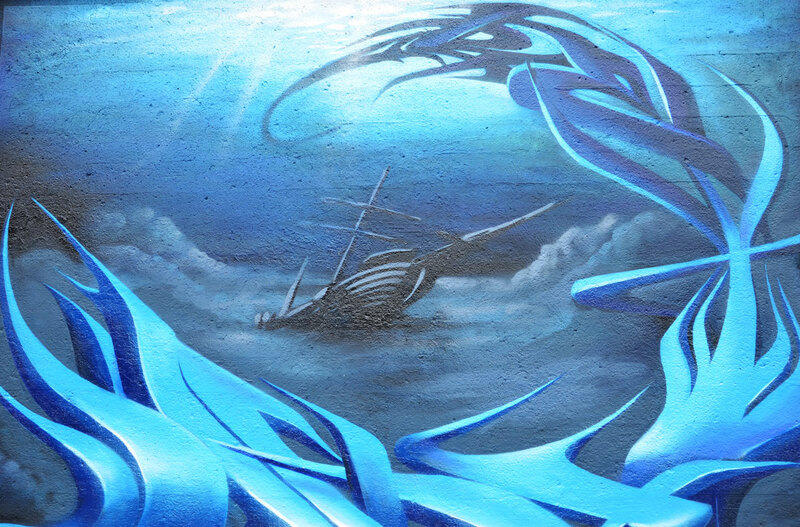 One more wave, then we go in. 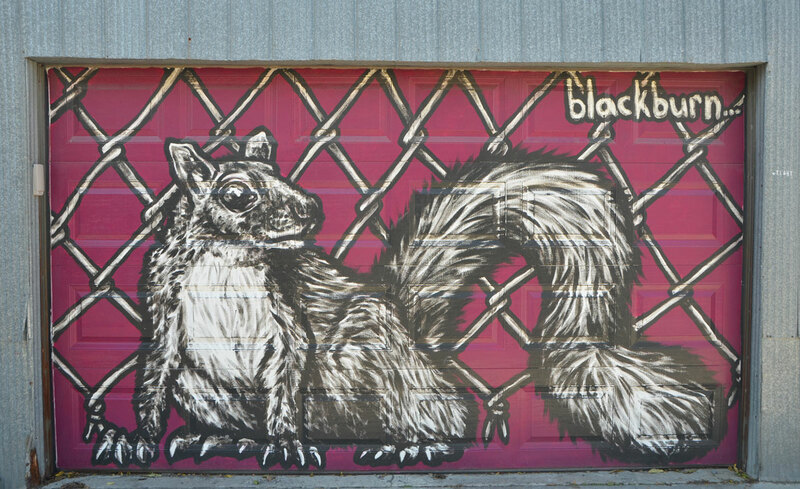 Today’s blog post comes from slightly farther afield than I usually venture. 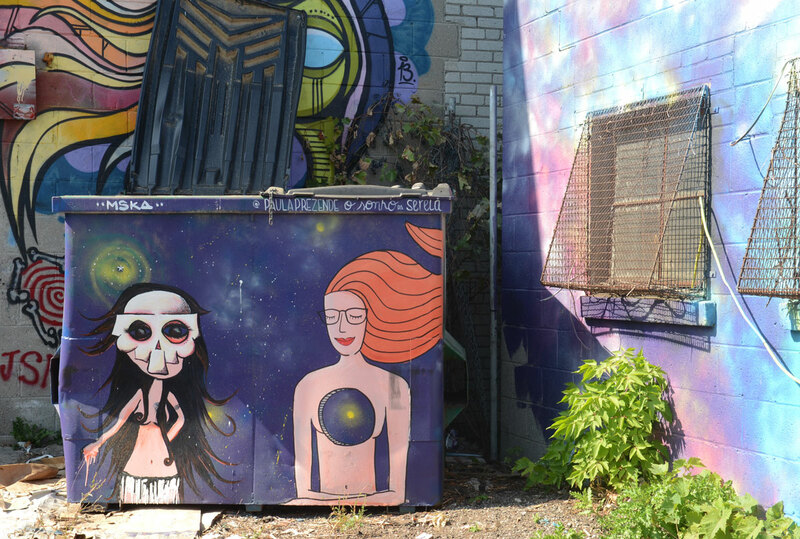 I went northwest to the Jane and Finch area. 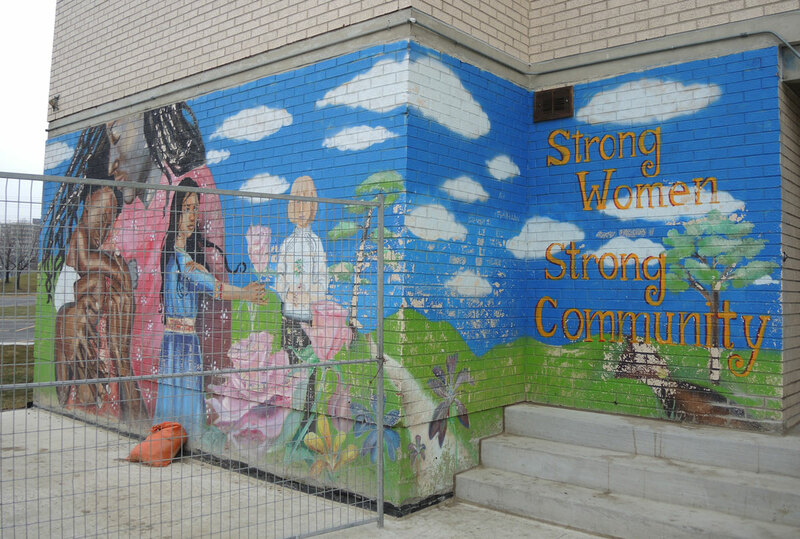 As I drove north on Jane street, I spotted some eye-catching paintings on the walls of the Driftwood Community and Recreation Centre. 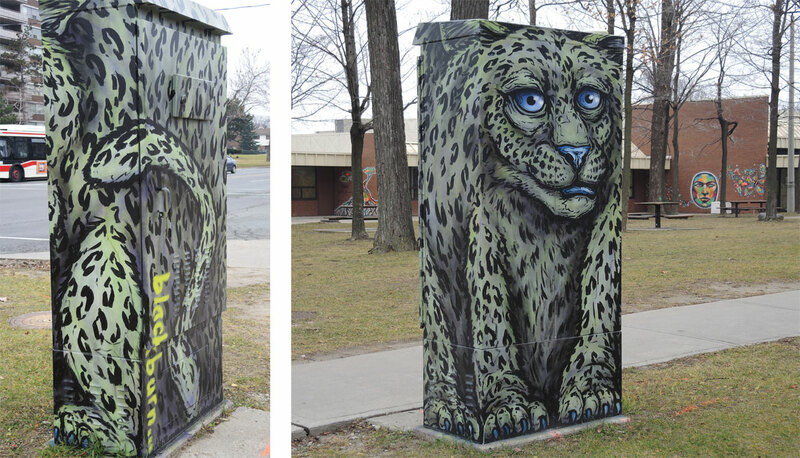 below: A blackburn traffic signal box sits on that corner. 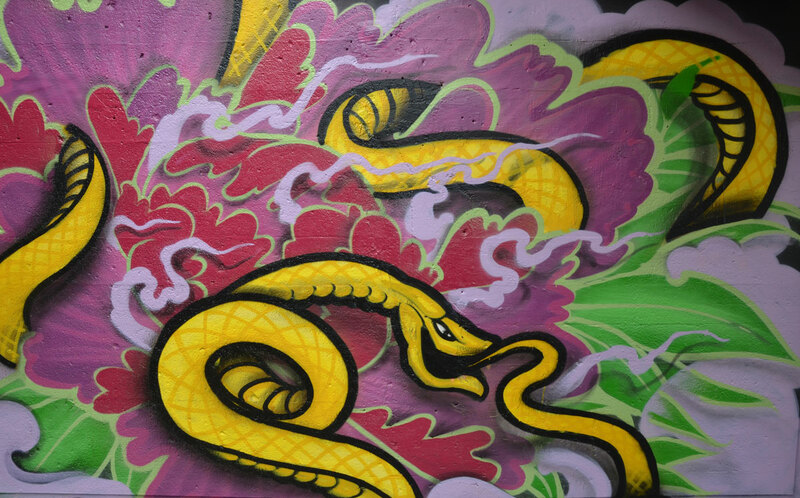 Straight from the jungle. 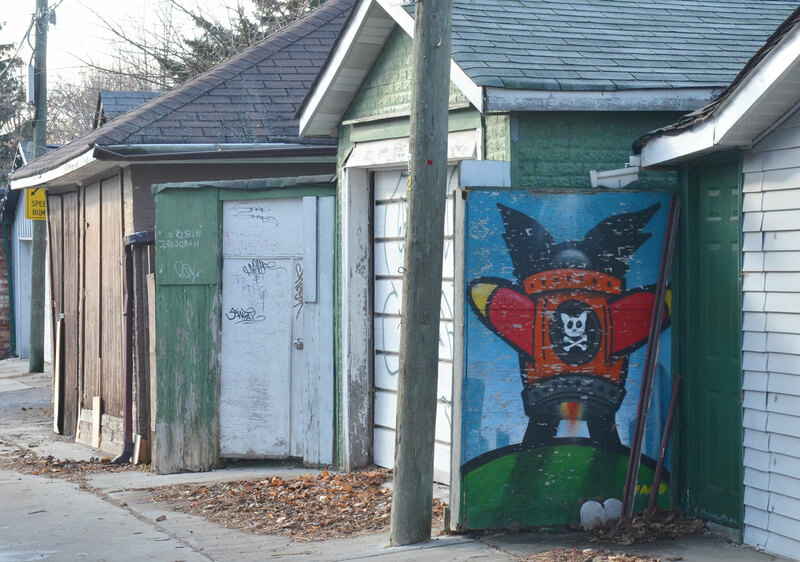 A little father south there are a couple of high rise apartment buildings on the northeast corner of Jane and Finch. 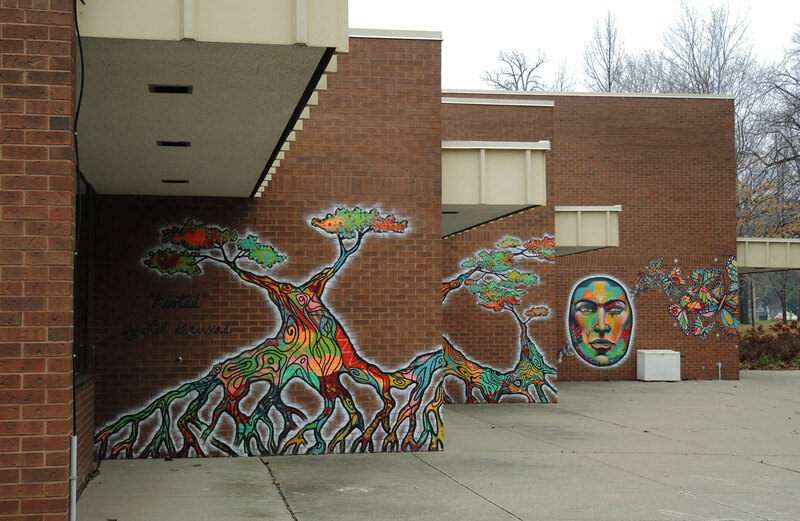 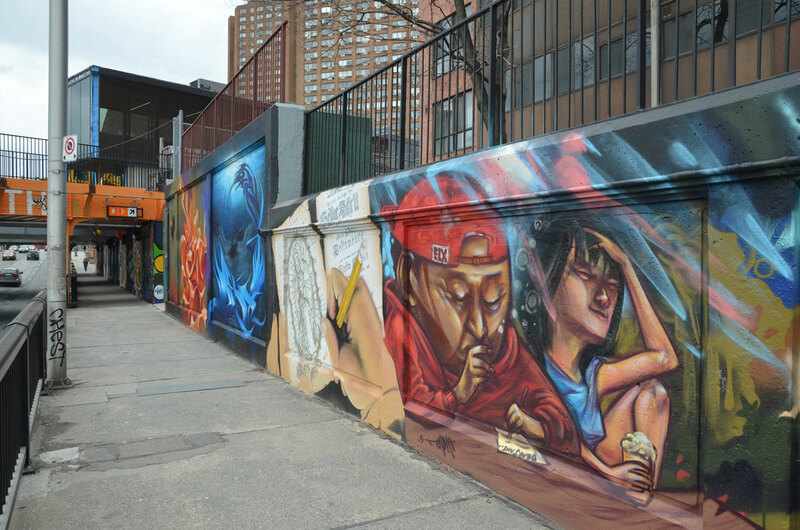 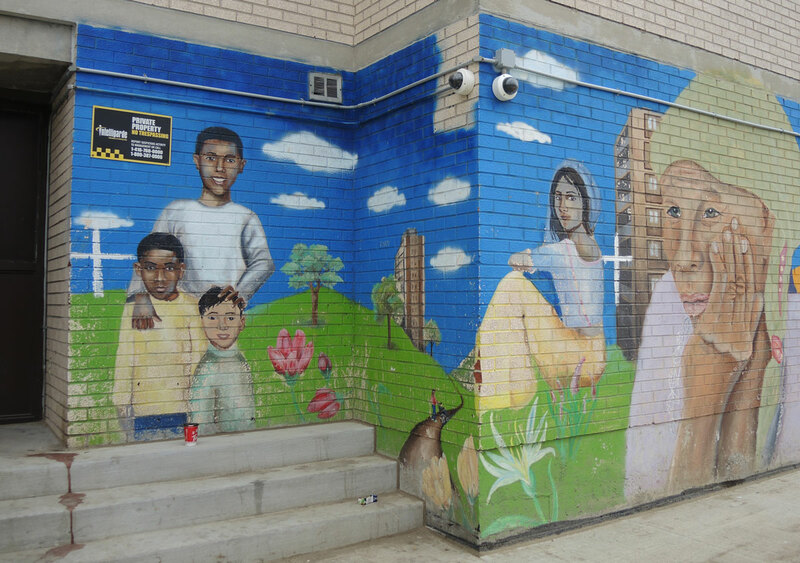 Each has a mural painted around one of the entrances to the building. 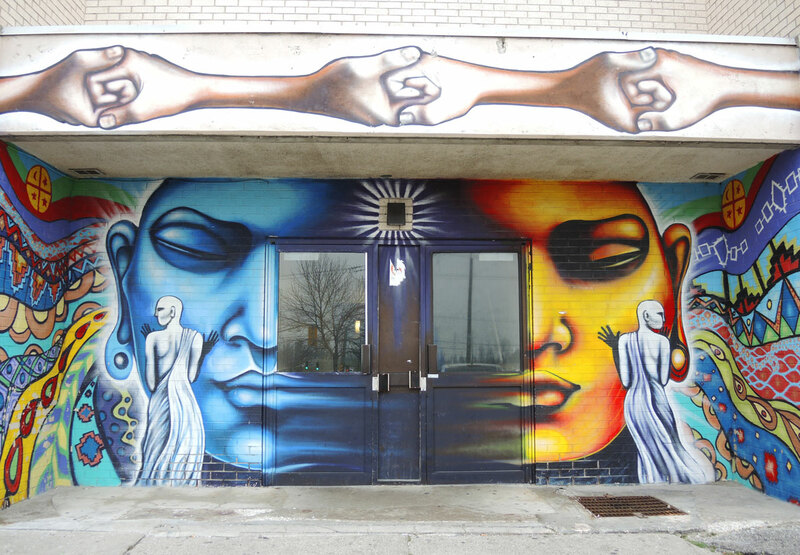 painted by Shalak Attack and Fiya Bruxas, 2011.
below: ‘Strong Women, Strong Community’ also by the BeLovEd Movement surrounds a doorway. 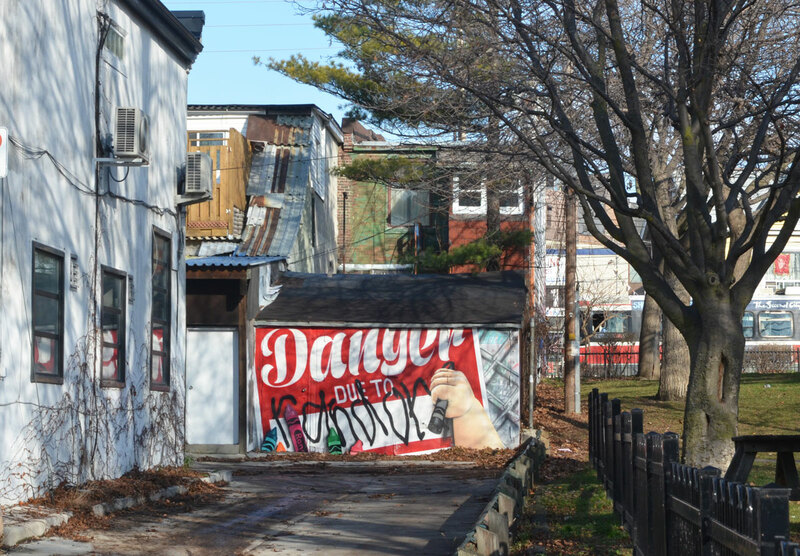 Although there is a sidewalk that leads directly to the corner of Jane and Finch, no one was using this entrance. 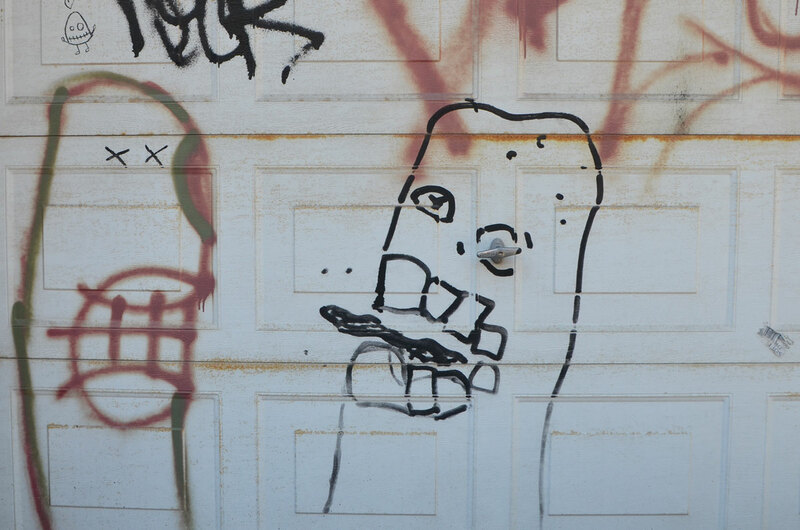 I was alone when I walked around this building from the parking lot by the main door. 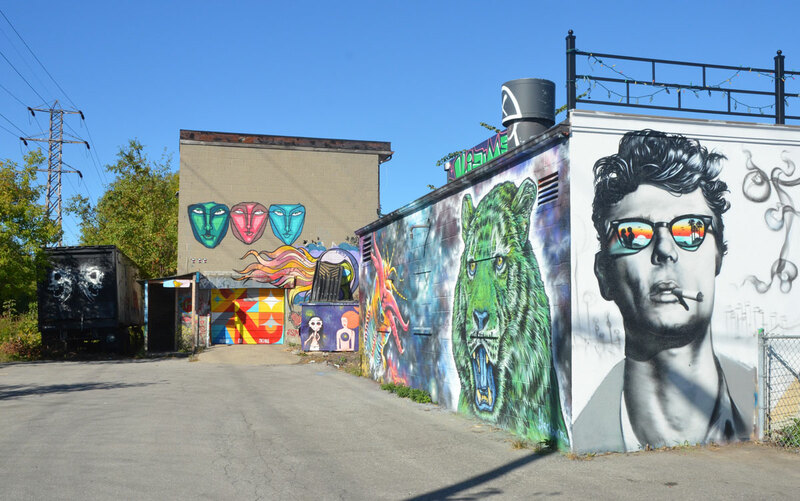 below: Three anser faces on the far wall and a whoisrandom James Dean up close with sunglasses. 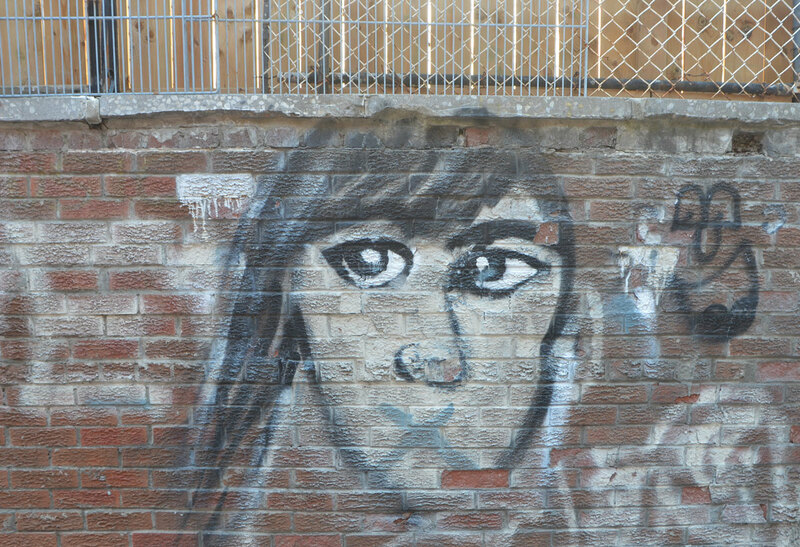 Graffiti and/or street art on the north side of the railway underpass on Bloor St. West between Dundas West and Perth Avenue. 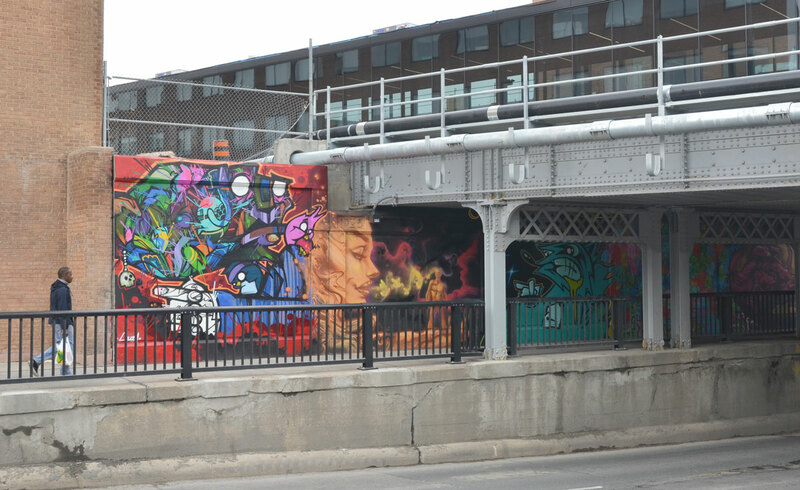 It is also by the Bloor GO station and where the West Toronto Railpath crosses Bloor Street. 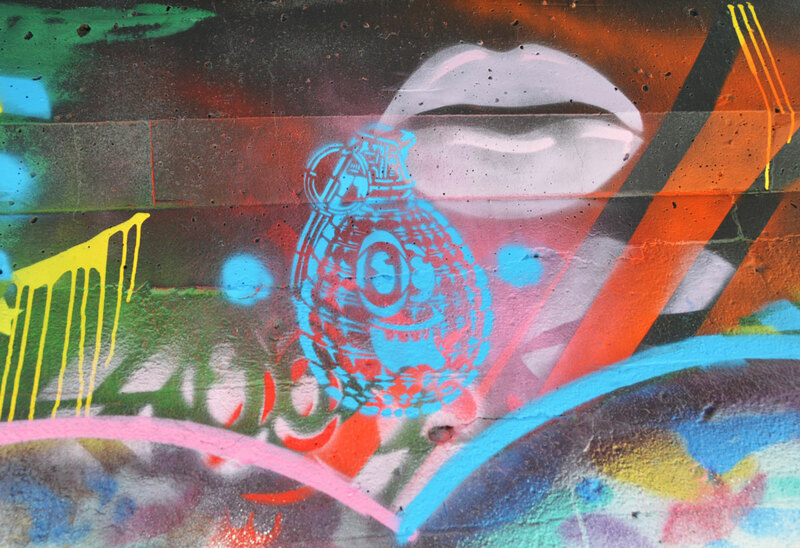 This was spudbomb was added a few days later. 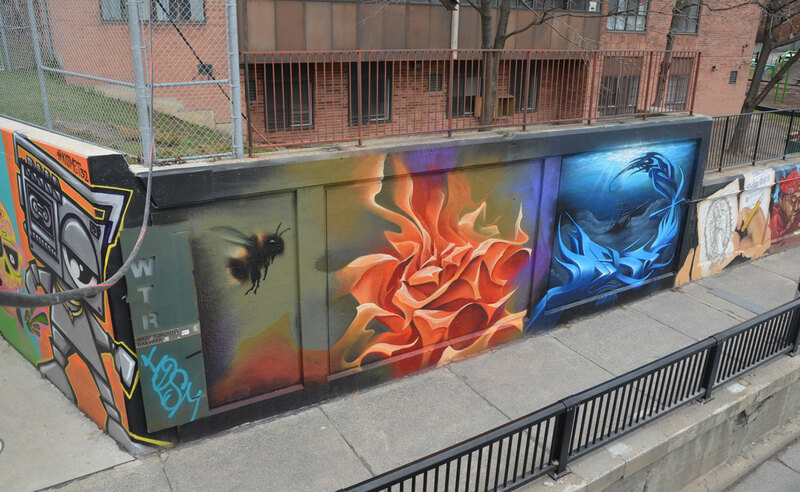 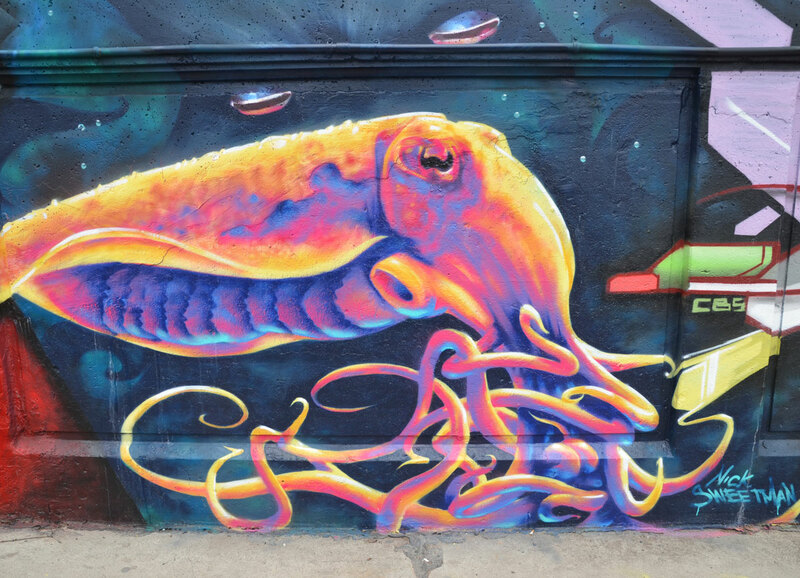 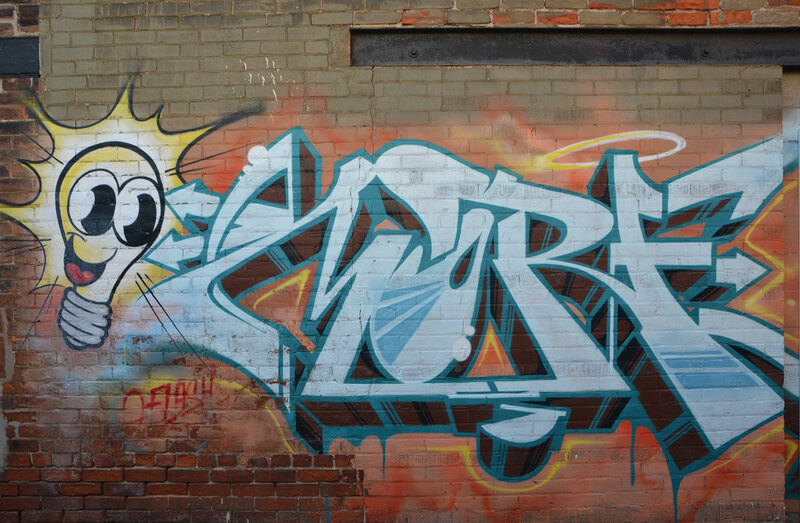 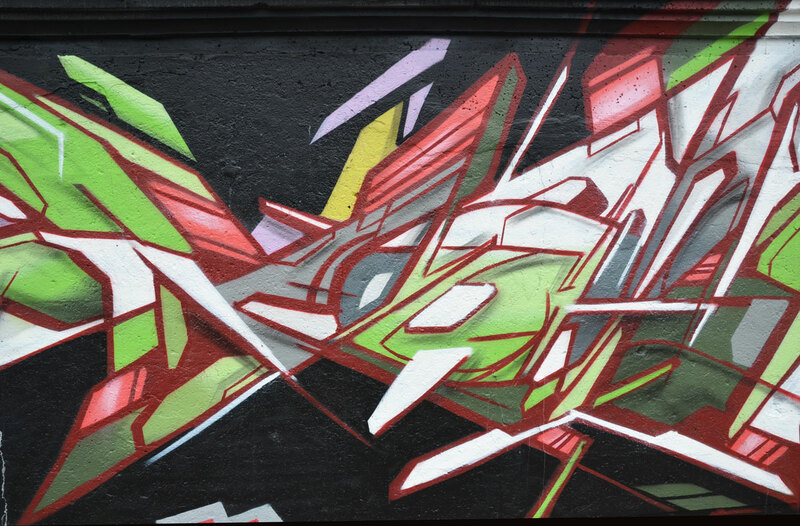 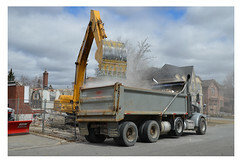 This was another StreetARToronto project.